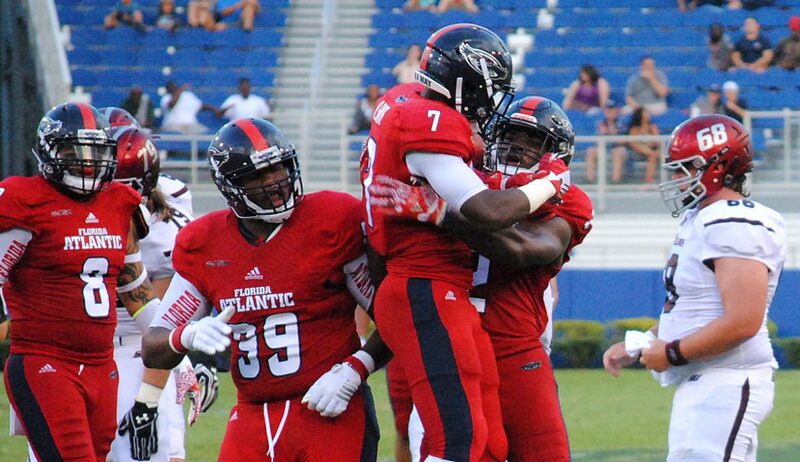 FAU football started the season with a victory for the first time since 2012. The Owls now have a two-game winning streak dating back to last season. 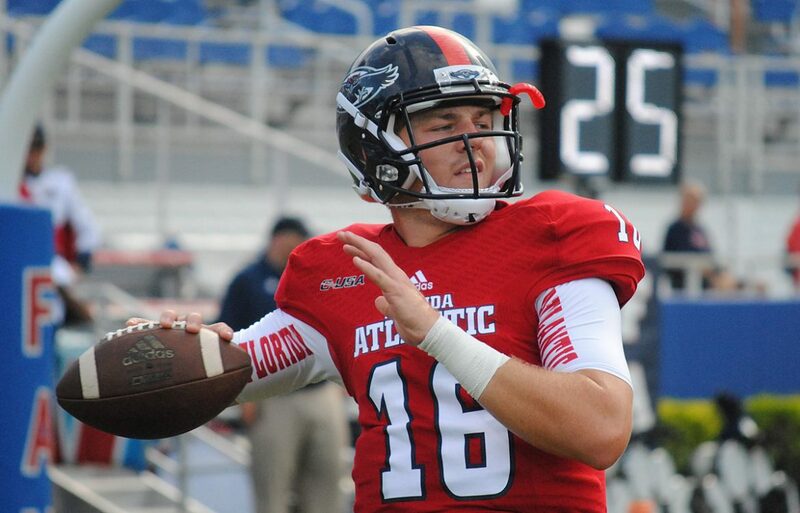 FAU defeated Southern Illinois on Saturday. See all the biggest plays in this video. Below are most of FAU coach Charlie Partridge’s post game comments to the media following the Owls’ 38-30 victory over Southern Illinois. 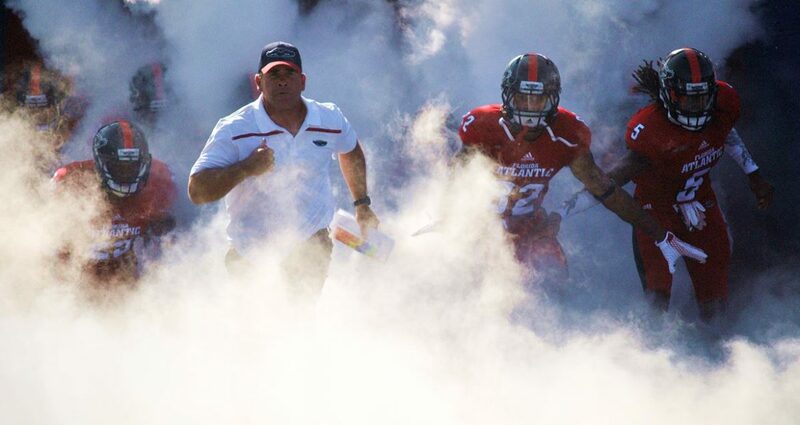 BOCA RATON – In the first two seasons under Charlie Partridge Florida Atlantic constantly found ways to fall short. Under the lights against Southern Illinois to open the 2016 season, Jason Driskel and friends didn’t have that problem. 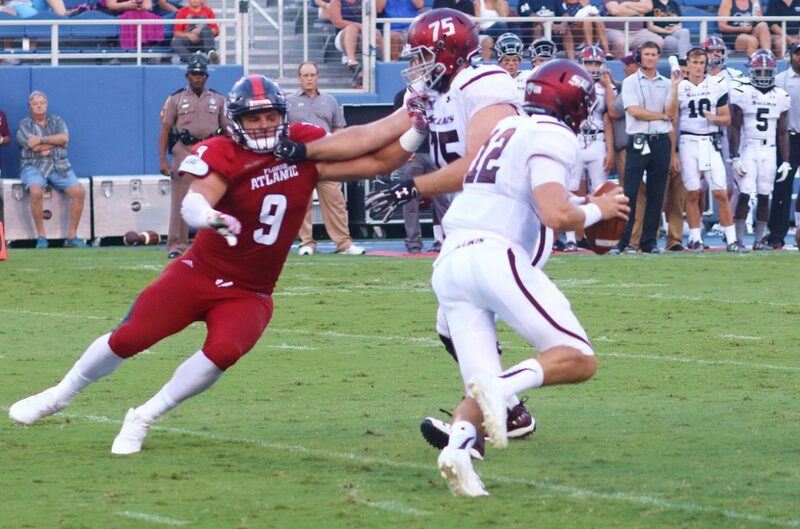 FAU followed a first half that featured many big plays but little consistency with a much stronger second half, defeating Southern Illinois 38-30 – the first season-opening win for the Owls since 2012. 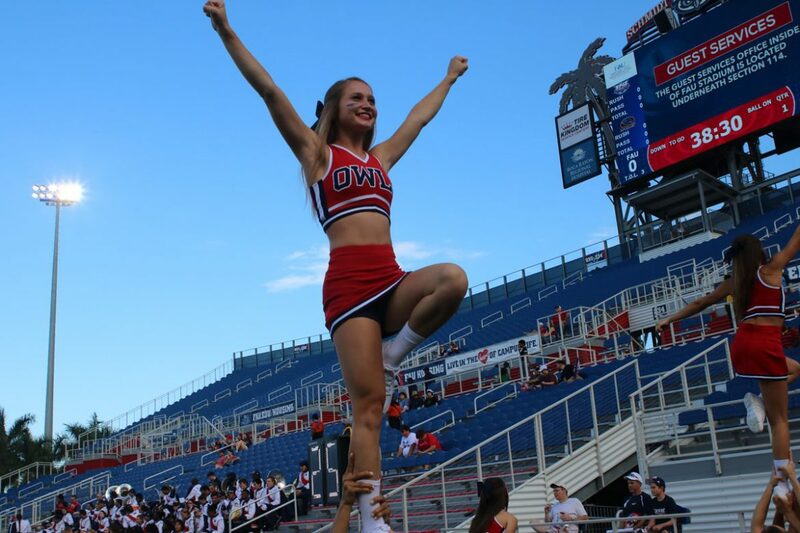 The victory combined with FAU’s victory over Old Dominion in the final game of 2015 marks the first time the Owls have won back-to-back games since a four-game winning streak to conclude the 2013 campaign. “We’re excited to be 1-0, very excited that we accomplished our second mission – the first being completing fall camp, the second being the Southern Illinois game – and we accomplished that,” coach Charlie Partridge said. 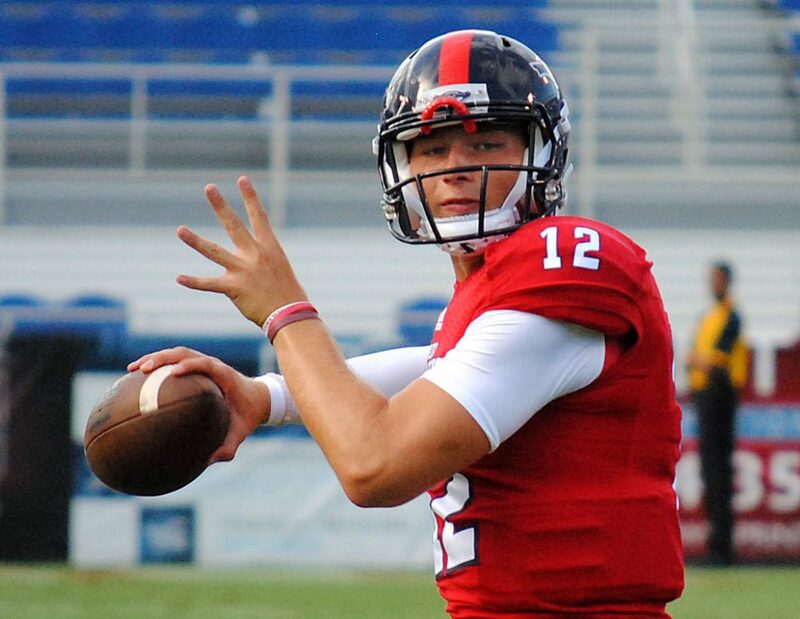 The winner of the starting quarterback battle between himself and Daniel Parr, Driskel engineered two straight scoring drives to begin the second half – including a rushing touchdown of his own on a fourth and goal play from the 2. Driskel made plays with both his legs and feet throughout the evening, combining for over 300 all-purpose yards. At halftime, Driskel had 167 of the team’s 265 total yards. Looking comfortable as the starter much of the night, Driskel threw for 287 passing with a 74.2 completion percentage, both positive sights to see in the first game of new offensive coordinator Travis Trickett’s scheme. “Obviously, first game of the year everyone’s a little jittery – that’s natural, myself included – and in the second half, our whole offense as a unit, went out there and let it loose,” Driskel explained. 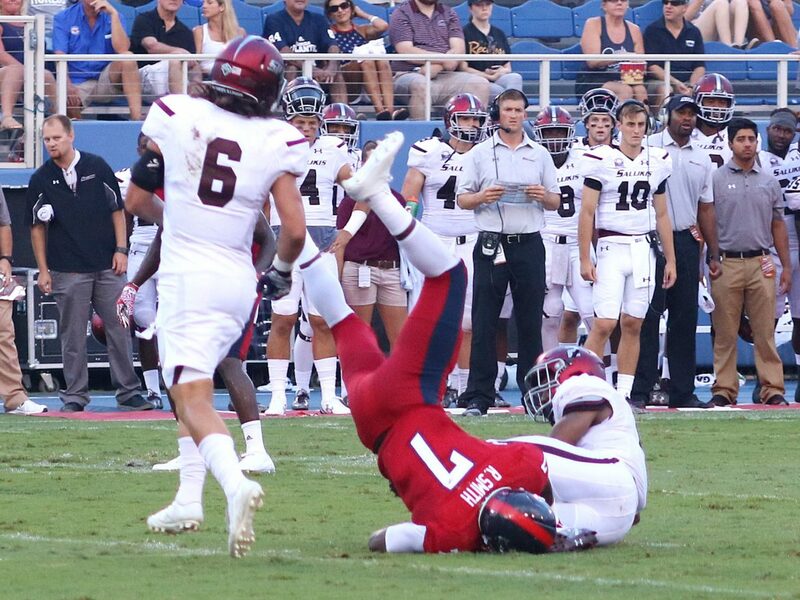 Jitters may be to blame for FAU’s erratic play in the first half, which ended with Southern Illinois boasting a 24-21 lead. Poor tackling led to a 54-yard Josh Straughan-to-Connor Iwema catch and run that set up the Salukis’ first score. 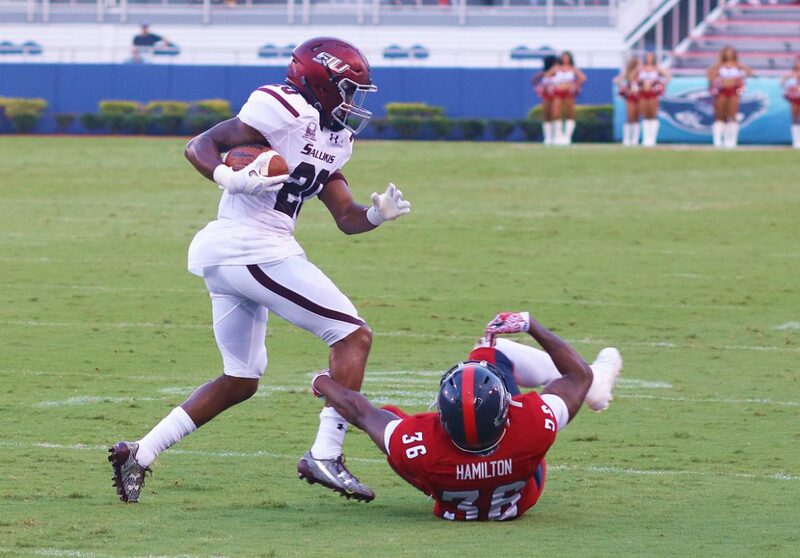 Atrocious tackling allowed DaQuan Isom to race 69 yards in the closing seconds of the second half when the Salukis appeared to be trying to run out the clock. Southern Illinois racked up 329 yards of offense in the first half. 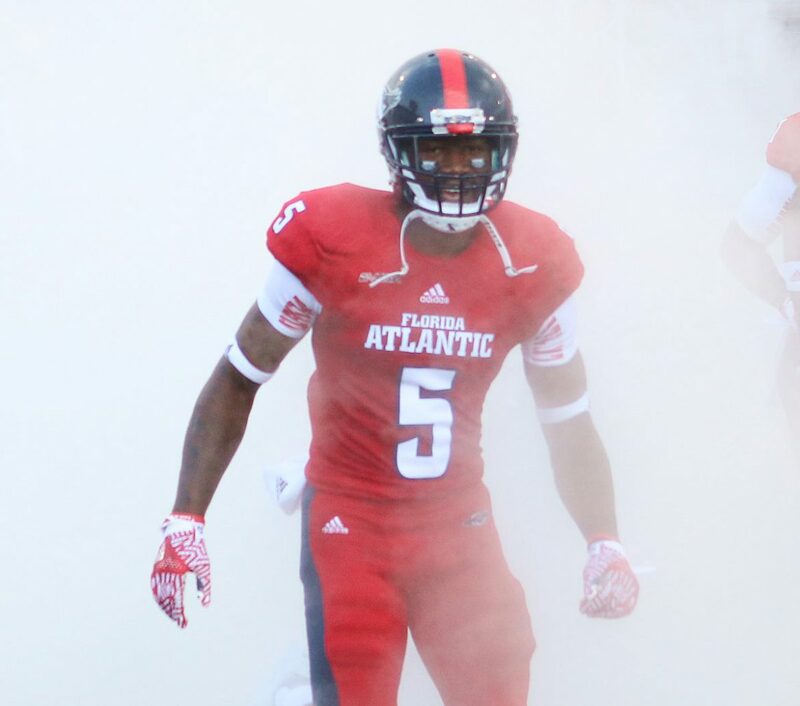 FAU’s three touchdown plays in the first 30 minutes accounted for 170 yards. The other 31 plays they ran totaled only 95 yards. Driskel and the Owls were much more consistent offensively in the second half. On the night he completed 23 of 31 attempts for 287 yards and two touchdowns to go with a rushing TD. The fourth-and-goal play, arguably the turning point in FAU’s first season-opening win since a 13-7 final against Wagner in 2012, came on an intended pass play that Driskel instead turned into a rushing touchdown once he saw that there were no defenders in his way. 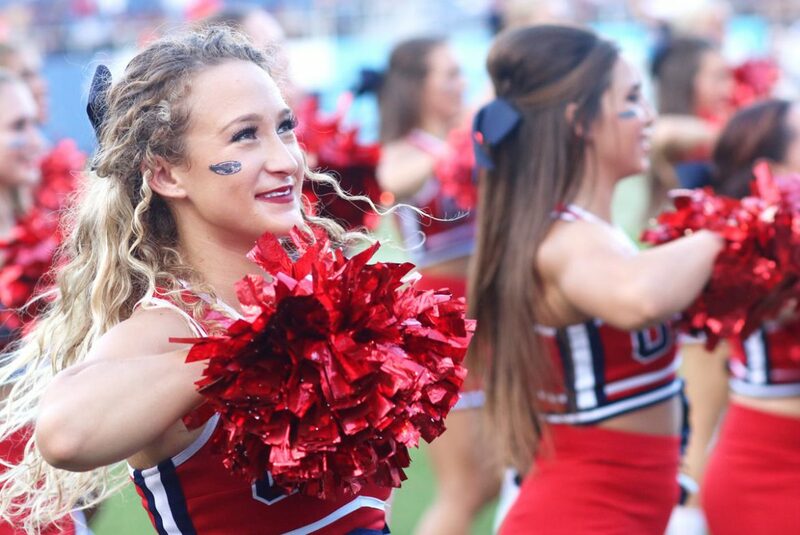 Down three against a defense that had held the Owls’ offense up fairly well in the first half, the play call certainly was gutsy and, if executed improperly, could have resulted in FAU losing any momentum it may have had. Of course, it wasn’t like Partridge minded the riskiness of the play call. Three big plays gave the Owls their first 21 points. Junior running back Buddy Howell scored the first two touchdowns of the Owls’ season with 48 and 37 yard scampers in the first half. Entering the game with hopes of building off a successful end to 2015, Howell also nearly added a third touchdown early in the third quarter, but was called out of bounds at the three yard line. Howell, who finished with just under 600 rushing yards a year ago, is already over a sixth of the way there after rushing for 128 yards in the opener. The highlight of the night, and one that could go down as one of the most memorable in program history, happened late in the second quarter when Tavaris ‘Pico’ Harrison turned a deflected pass intended for Kalib Woods into an 85-yard score. Bouncing around three times and almost certainly headed for the turf, Harrison appeared seemingly out of nowhere to catch the football and run it in for Driskel’s longest pass of the night. When Southern Illinois tried to get back into the game early in the fourth quarter, star defensive end Trey Hendrickson not only came up with a sack, but blocked a field goal attempt from Austin Johnson to keep the score at 35-24. The Owls would capitalize that opportunity a 40 yard field goal from Greg Joseph. Hendrickson, Conference USA’s Preseason Defensive Player of the Year, expects to make big plays. Southern Illinois came within eight points after a Kyle Newquist 20 yard receiving pass from backup Sam Straub, but Johnson’s PAT missed. On their last possession, Straub completed a pass to Aaron Stanton that Ocie Rose forced out. Jalen Rose recovered the fumble and FAU ran out the clock. FAU trailed 24-21 at halftime in part because the Owls tackled poorly in the first half, leading to big plays fo the Salukis. The offense did hit some big plays in the first half but lacked consistency. They were much better in both aspects following halftime. 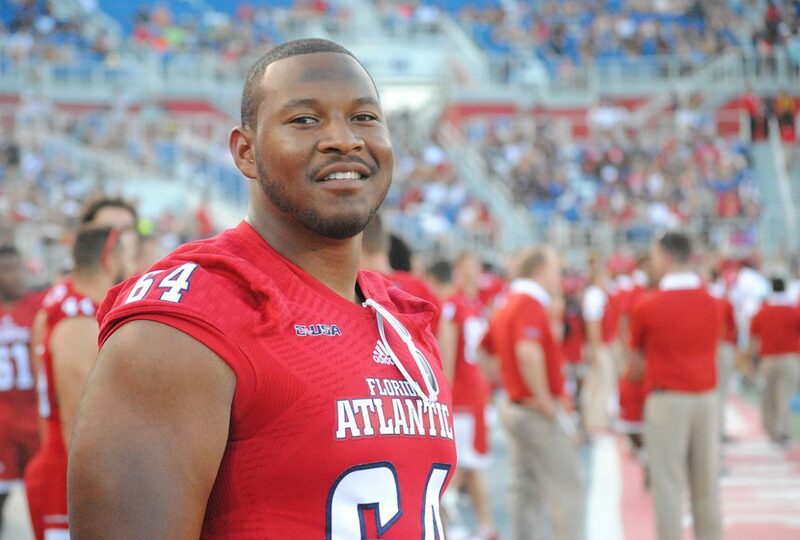 Despite the loss of left tackle Reggie Bain last week, right guard Antonyo Woods on Tuesday, and Woods’ replacement, Matthew Weiner, during the game itself, the Owls’ offensive line play on Saturday night was surprisingly productive. Not only were they able to make holes for Buddy Howell during his electric runs, but they also kept Jason Driskel upright all night long, allowing only two sacks. The Owls’ heavy focus on tackling in fall camp didn’t have the same success on Saturday night that the offensive line did. Whether on Isom’s 69-yard TD run in the closing seconds of the first half or on smaller, less impactful plays, the Owls really had problems wrapping up their men and bring them down. If the Owls don’t improve their tackling next week, Miami, which beat Florida A&M 70-3 on Saturday, will tear the Owls’ defense to shreds. 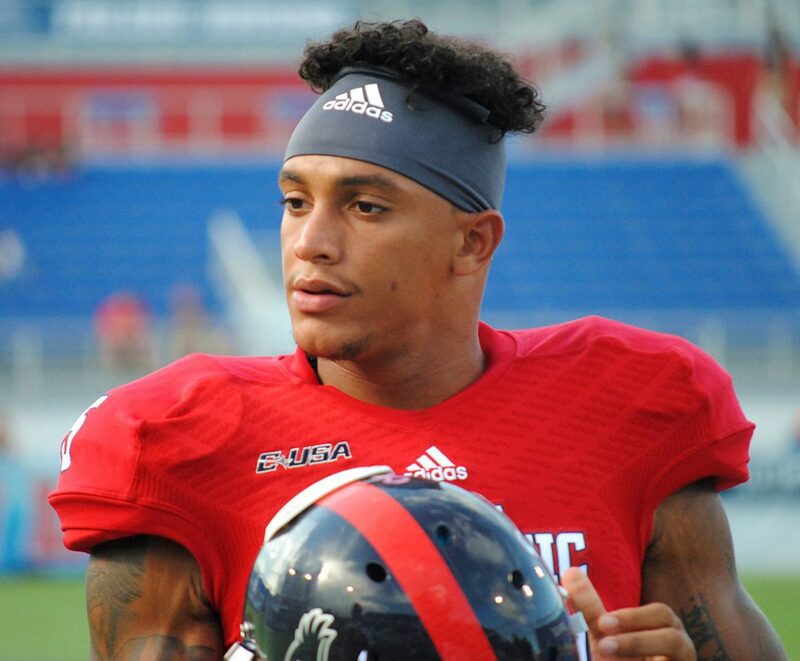 Easily the biggest surprise in FAU’s game plan was the lack of touches to senior running back Jay Warren, who is part of a ‘dynamic duo’ with Buddy Howell and had an excellent fall camp. Warren received only one carry on Saturday while Kerrith Whyte Jr. had 11 carries for 20 yards – 10 of which came on one carry. Partridge confirmed after the game that Warren was healthy. 0 – Snaps taken by guard Antonyo Woods and WR Nate Terry, neither of whom dressed for the game because of undisclosed injuries. 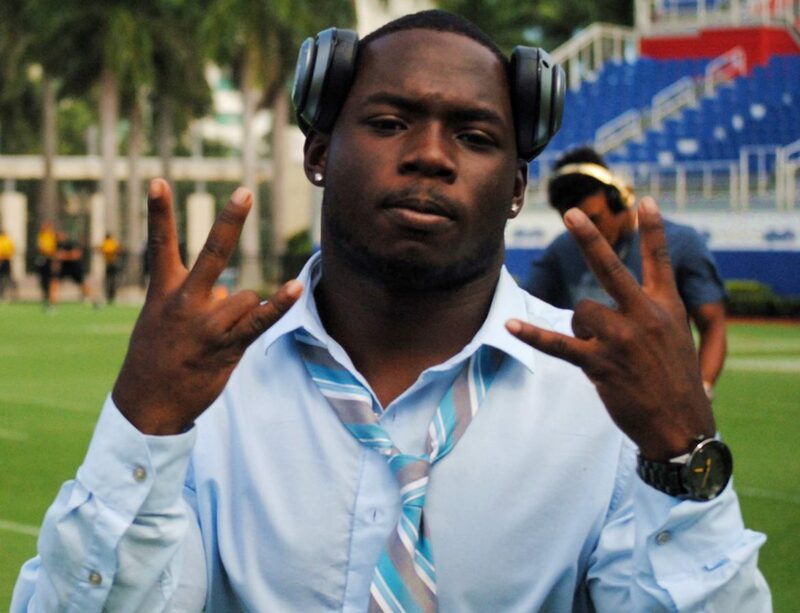 1 – Carry by senior running back Jay Warren in the whole game for the Owls. Coach Charlie Partridge confirmed after the game that Warren was healthy. 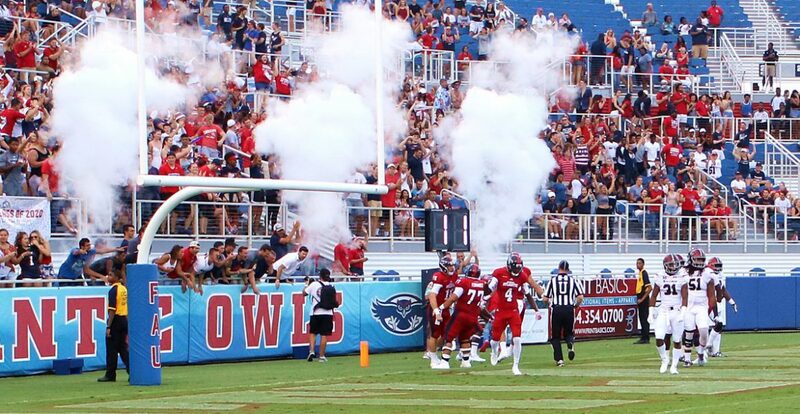 3 – Times the Owls have won their home opener at Howard Schnellenberger Field, adding today’s win to the win over Tulsa in 2014 and the 2012 game versus Wagner. 4.2 – Yards Southern Illinois averaged on their rush attempts. 6 — Times the Owls have won season openers in program history. 7 – Kickoffs by punter Dalton Schomp. Starting placekicker Greg Joseph was slowed in camp by an undisclosed injury. He converted all five PATs and made a 40-yard field goal. 10 – Tackles by Azeez Al-Shaair to lead the Owls. 87 – Yards Buddy Howell had on just three carries in the first quarter. 328 – total yards compiled by QB Jason Driskel on Saturday night. 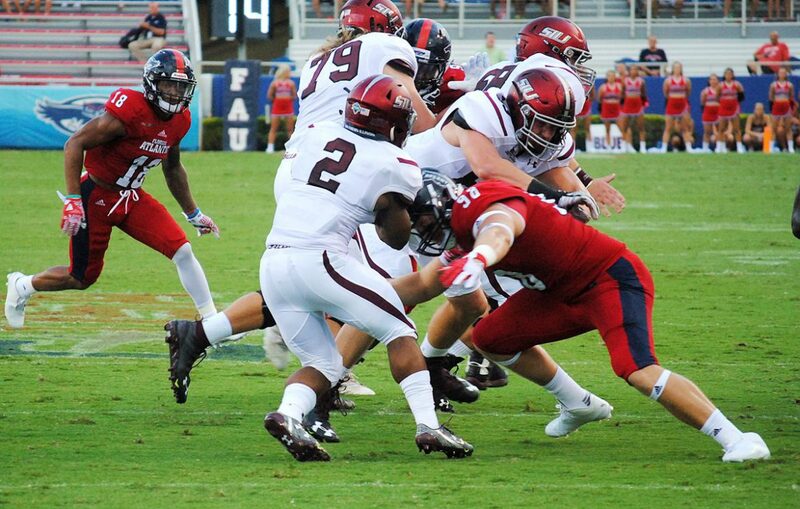 530 – Total yards allowed by FAU to Southern Illinois. 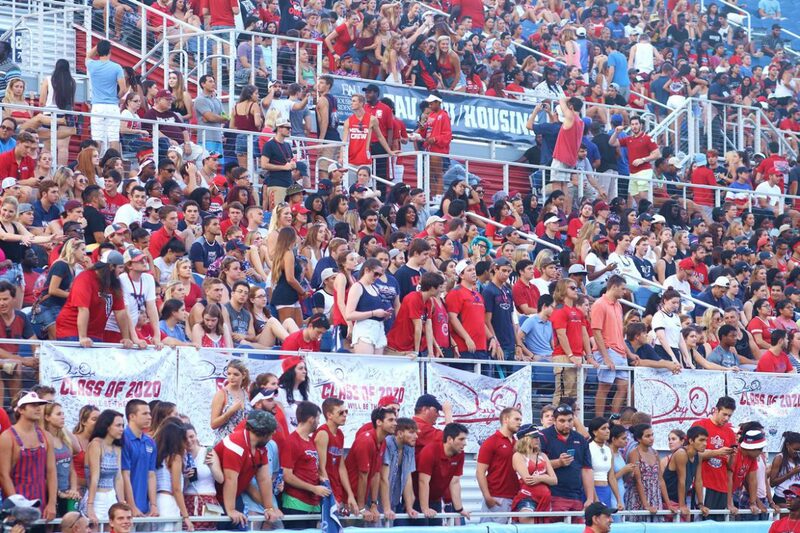 14.887 – Announced attendance for Saturday’s game. 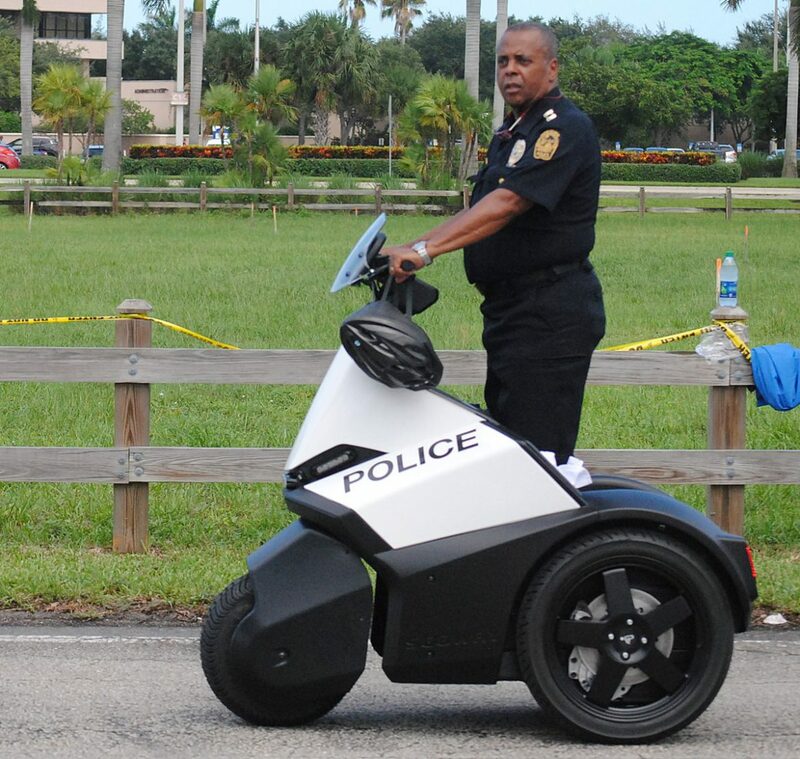 $390,000 – Guaranteed to SIU by FAU for playing in Boca Raton. 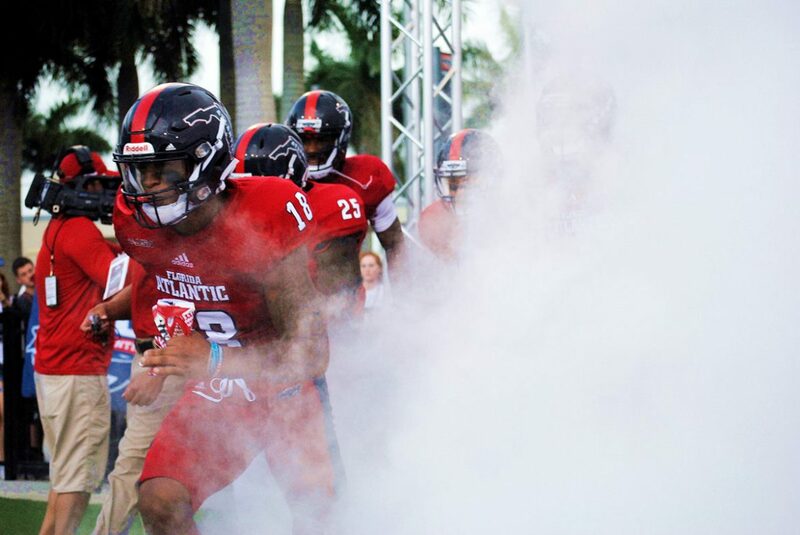 FAU makes the short trip south to Miami Gardens on Saturday where they’ll face the Miami Hurricanes. 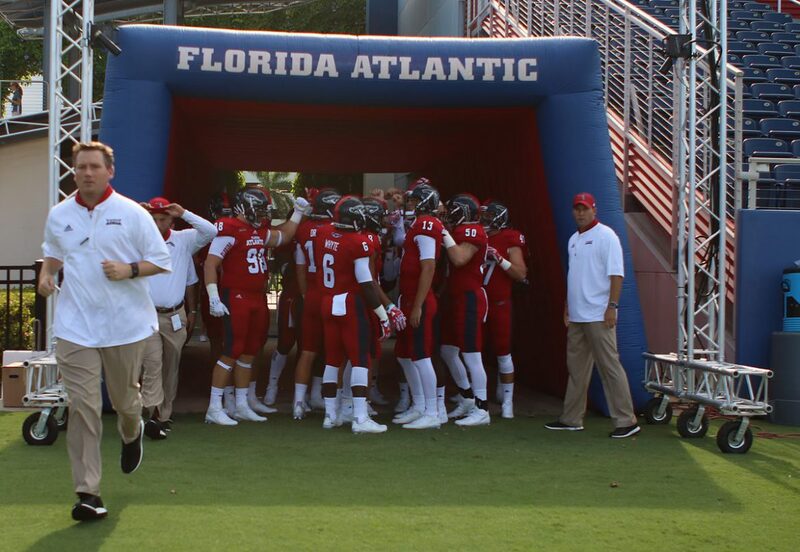 Kickoff is slated for 6 p.m.
FAU opened the season at home for the first time since 2012. Here’s our photo gallery from the game. Shots include the Owl Walk, pregame and game. Enjoy. 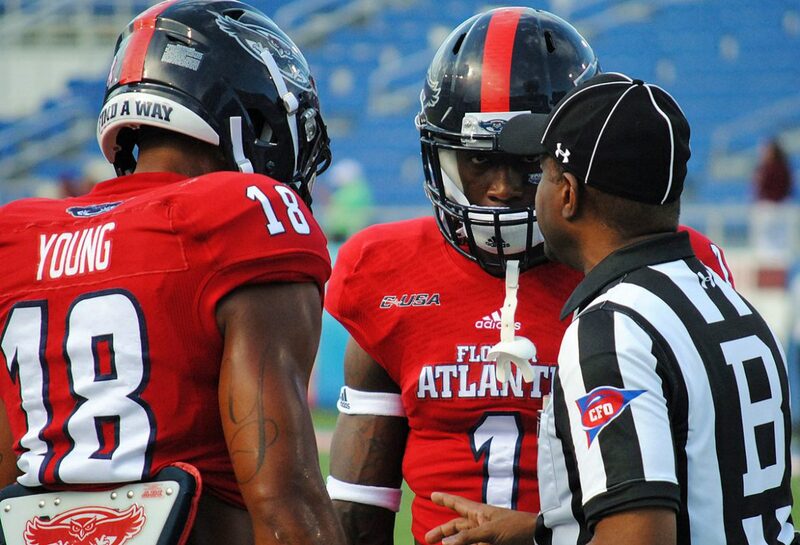 Both WR Nate Terry and OL Antonyo Woods have been ruled out for #FAU. Interesting to see how Trickett handles loss of these two. We’ve heard a lot about the linebacking duo of Rashad Smith and Khantrell Burden recently. Expect big games from them today on D.
Southern Illinois wins toss and will receive. FAU will have ball to start second half. Interesting decision not to defer. 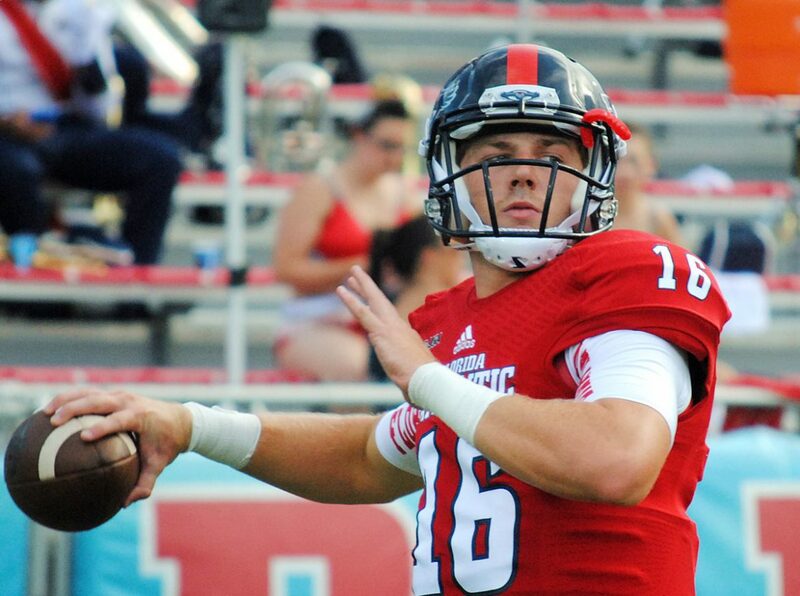 FAU has not won consecutive games in the Partridge era. A victory today would be the first time they’d won two straight since 2013. WE ARE UNDERWAY and Southern Illinois will start at their 15. Trey Hendrickson’s defense takes the field. Two straight rushes for the Saluskis go nowhere. 3rd and 11 after a nice stuff by Hendrickson to start his senior year. QB run gets a couple yards, but Southern Illinois has to punt twice after a penalty first time. Bussey on the return gets it near the logo. That was quick. FAU scores on an electric run from the peacock Buddy Howell! 48 yard run to give the Owls a 7-0 lead after two plays! Stadium is not at Miami level but this place was shaking during Buddy’s run. Howell coming off a big 2015 starts things off right. Southern Illinois starts at their own 21 and gets all the way down to FAU’s 14 after a major pass play. 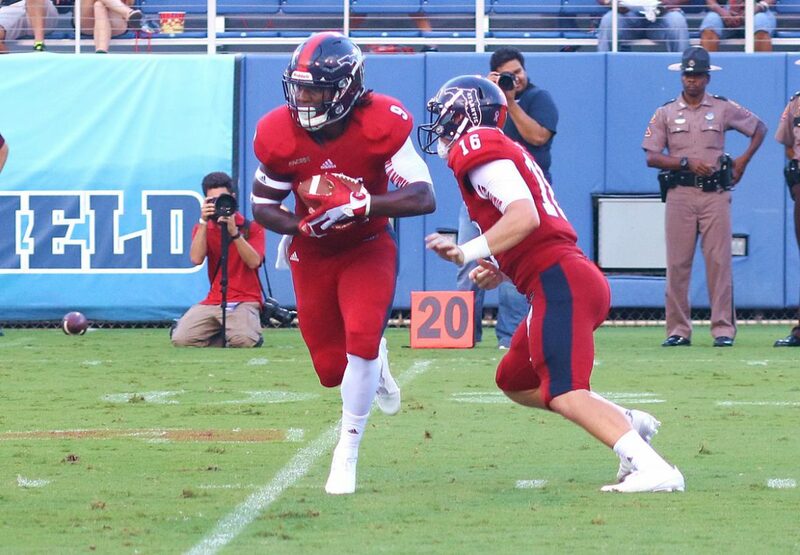 There’s @khantrellb, making his first start for FAU, with a big stop on first and ten to prevent a score. That’s a tough drive for the Owls defense after a great start on first drive. 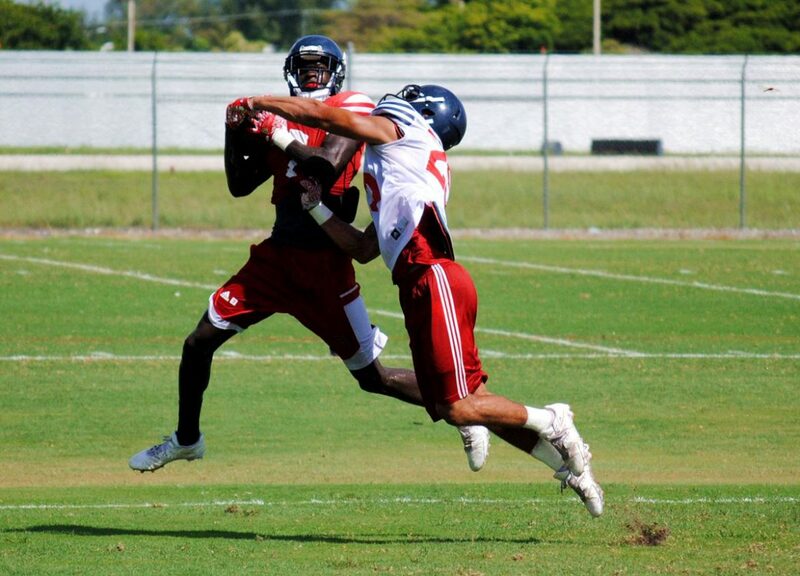 FAU spent camp working on trying to avoid giving up big plays. 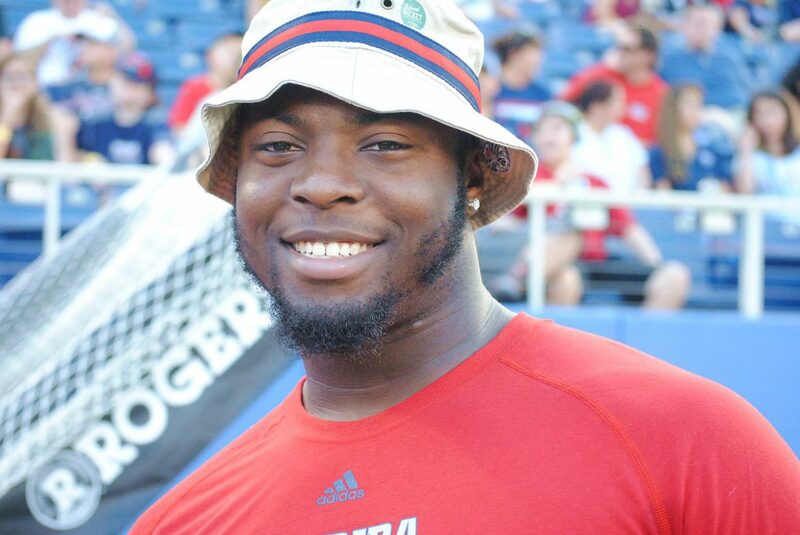 Junior Kamrin Solomon with a nice catch on second down, but FAU goes three and out. Driskel can’t connect with Bussey on 3rd and six. 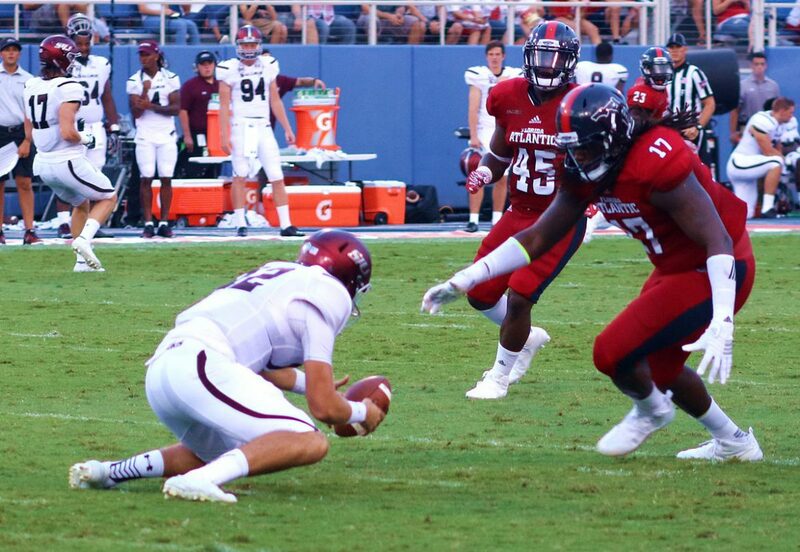 FAU defense forces Southern Illinois to punt in a nice bounceback drive. Coach Roc likely gave defense nice pep talk. Driskel scrambles for a first down on his second QB scramble this drive. Jason doing his best Tim Tebow impression! Flag thrown for pass interference on Salukis. Jay Warren gets a carry and almost gets it to the logo for FAU. 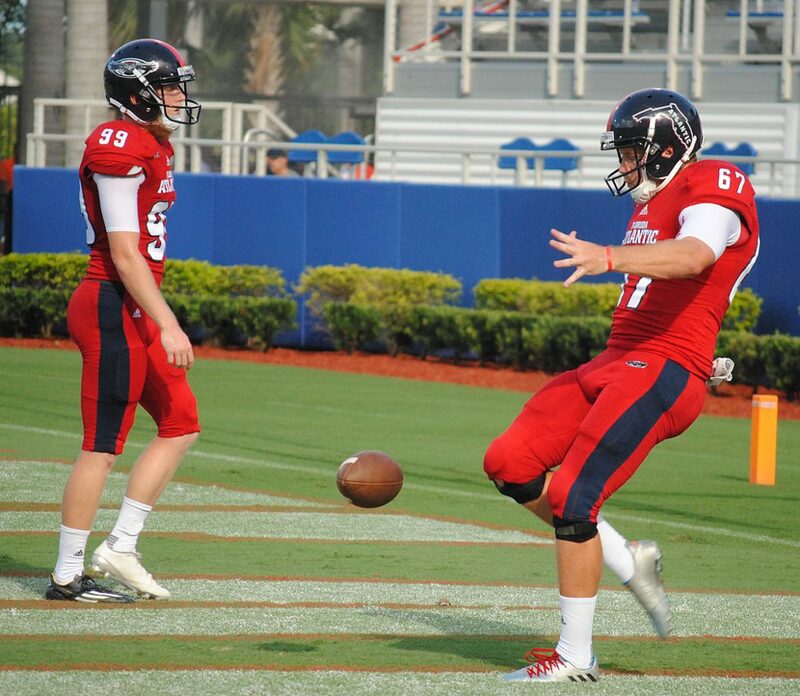 FAU will punt. Aside from Buddy’s run, offense has been a bit jittery. Defense looks to get another stop. Third and four. Fan section making themselves heard as defense forces a stop. Bussey on to return punt. BUDDY AGAIN. 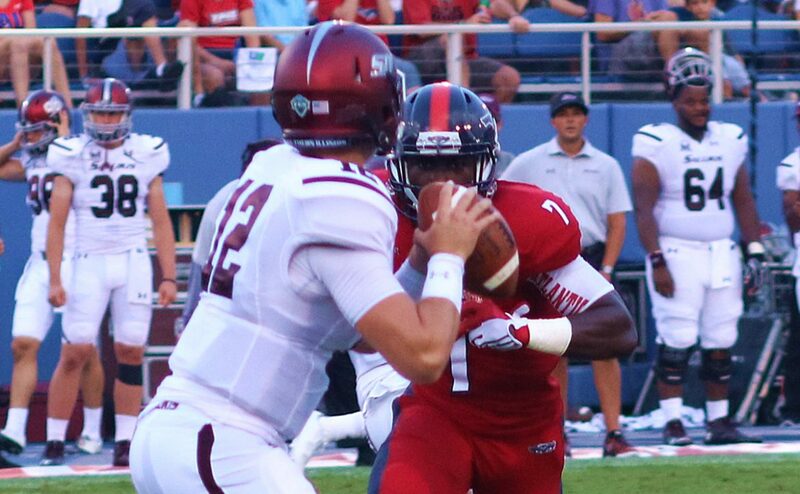 Buddy Howell chews up SIU’s defense for FAU’s second touchdown of the quarter. 37 yard rush for the dreadlocked senior. RASHAD SMITH WITH A SACK! The true freshman with a huge play in his first collegiate game. Big gain for SIU again. 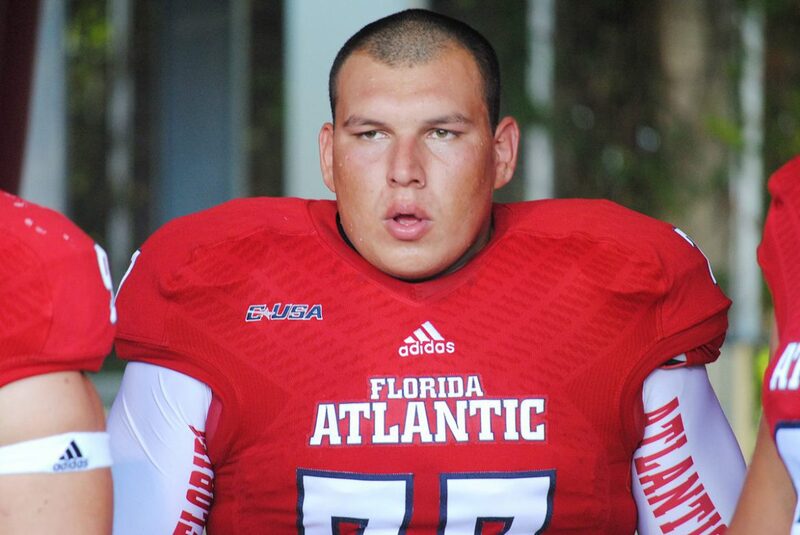 FAU is in need of a big defensive stop. Look for Trey Hendrickson or Khantrell to make something happen soon. We’re in an injury timeout. Linebacker Khantrell Burden walks off field with trainers on his own power. We’ll be keeping an eye on this..
Now, we’re tied. 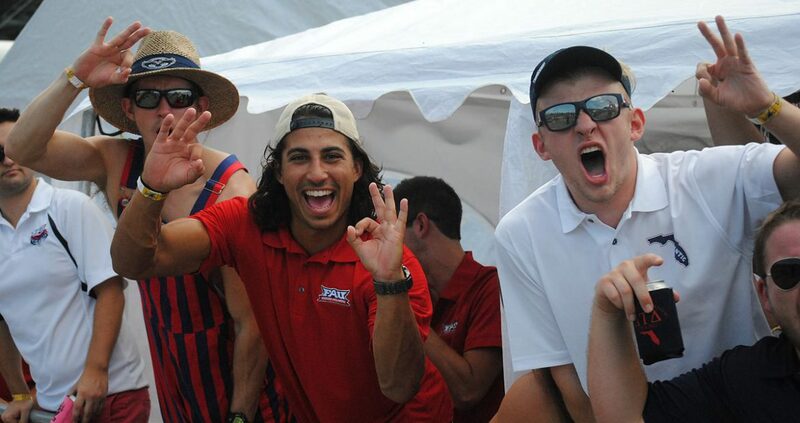 FAU and SIU trade scores once again and we’re tied at 4 with 23 seconds left in first quarter. First quarter ends with a 14-14 tie. 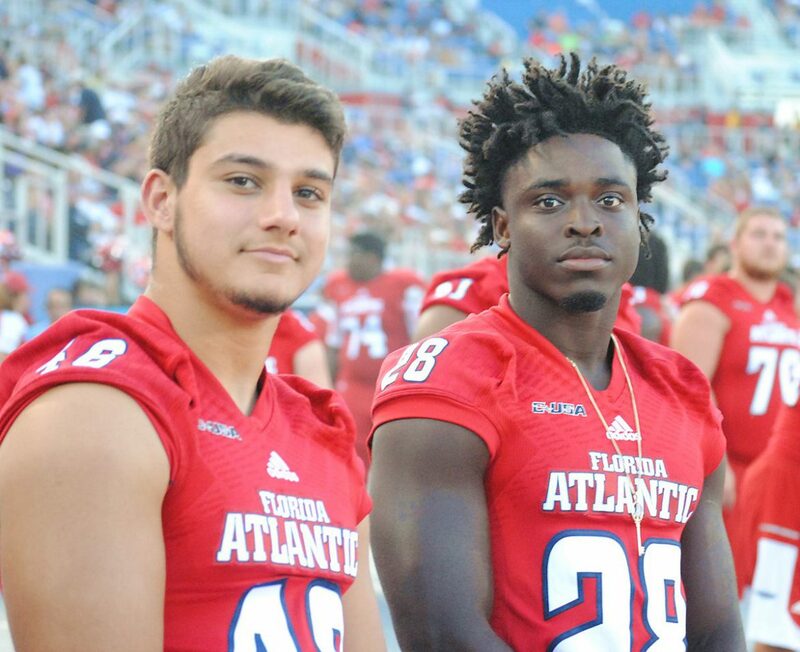 Two FAU players to keep an eye on if they get snaps: QB Daniel Parr and RB Devin ‘Motor’ Singletary. 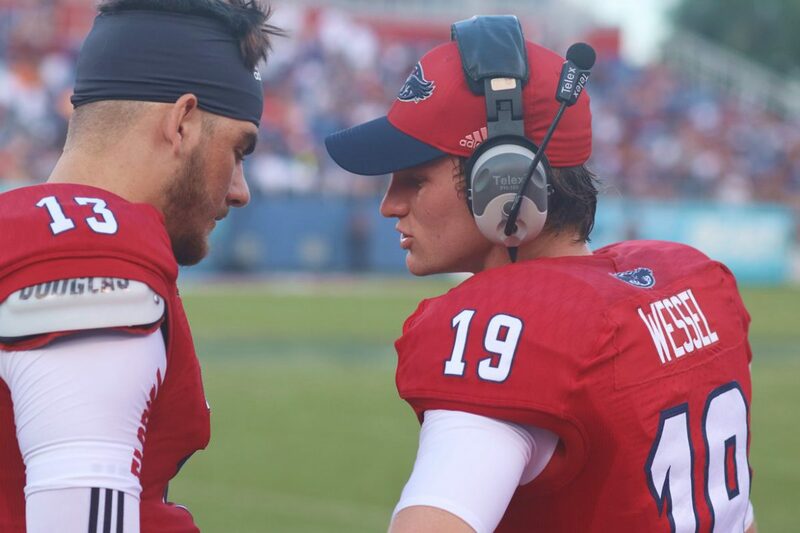 Even as FAU prepares to punt, Jason Driskel has looked good so far for FAU and is definitely building off last year’s momentum. FAU with some nice pass defense downfield. 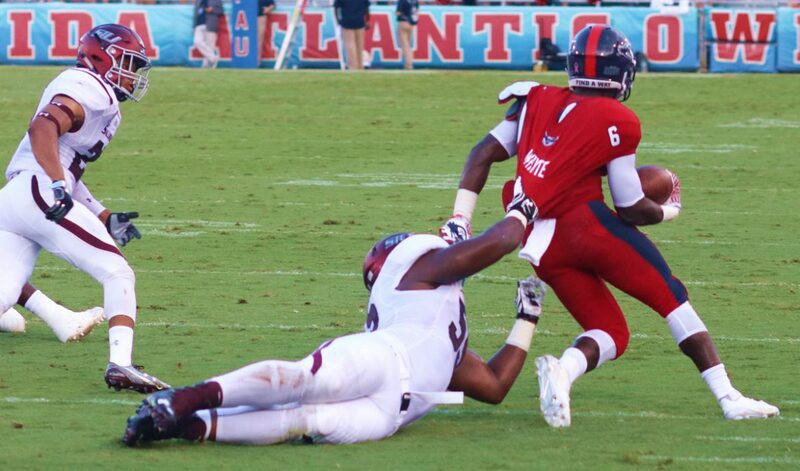 This has been one of FAU’s major goals all camp long: prevent the big plays. Driskel just took a shot downfield for Woods then does a read option. If there’s one thing you get from Trickett’s scheme, it’s diversity. Driskel and Tony Thomas looking like Peyton Manning and any of his wideouts. 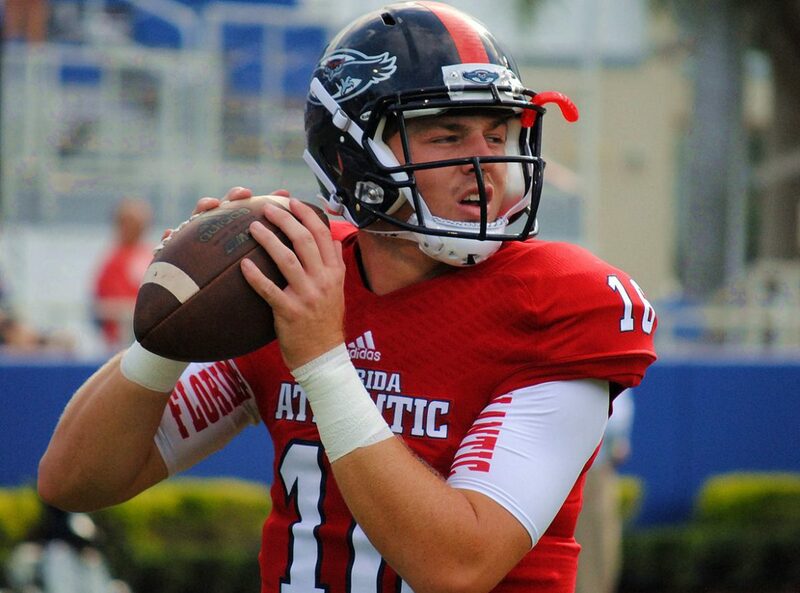 Just driving downfield play after play for FAU. Driskel gets sacked for the first time today. We’re halfway into the second. 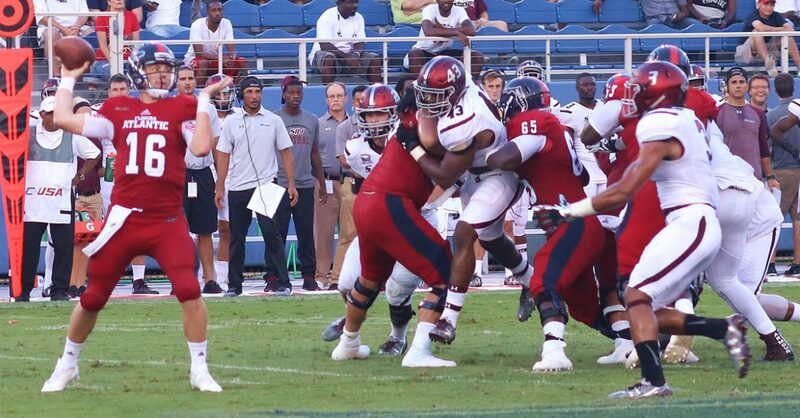 FAU o line doing a fantastic job protecting their QB. We knew coming into the game SIU had a strong offense, but these guys can play. Testament to Roc’s defense for handling them so far. SIU takes the lead with a long field goal (48 yards) and FAU will take over with 4:44 left in the second half down 3. 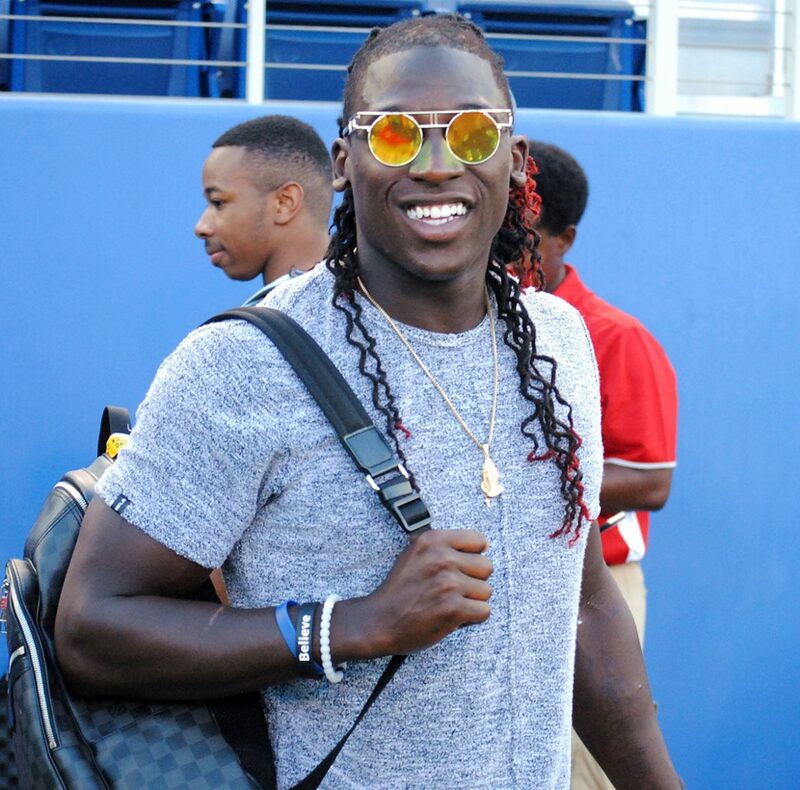 Lucky Whitehead (@ninjafast22) with another appearance on the jumbotron. Cowboys kick off next Sunday against the Giants. No Romo. Motor Singeltary with his first play, but he doesn’t do much. SIU defense stopped him before he could show that blazing speed. 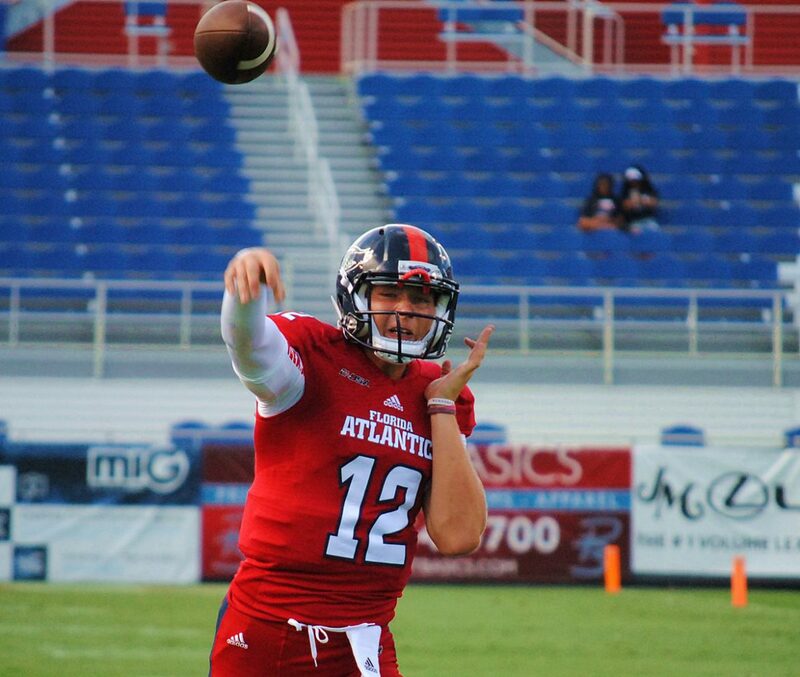 Despite another punt, Jason Driskel has looked right at home tonight for FAU. Making plays, completing passes. 1:37 left in first half and SIU is driving. Third and two. 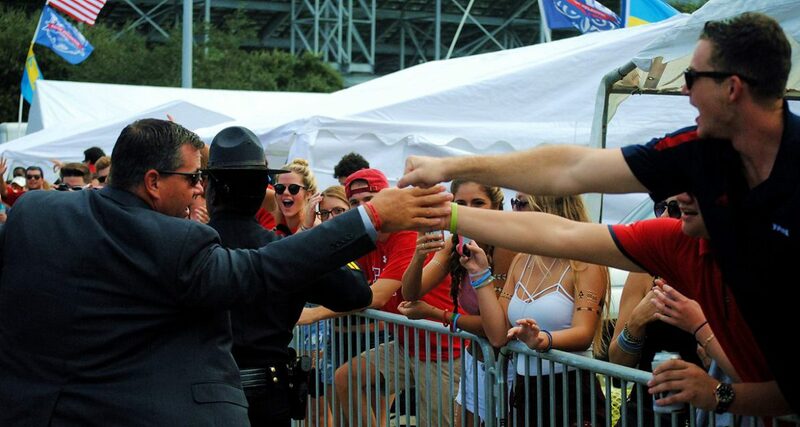 An FAU stop would mean wonders for momentum/mood going into halftime. SIU gets the first down and they are in FAU territory. We face another third down here in Boca. FAU needs a stop. 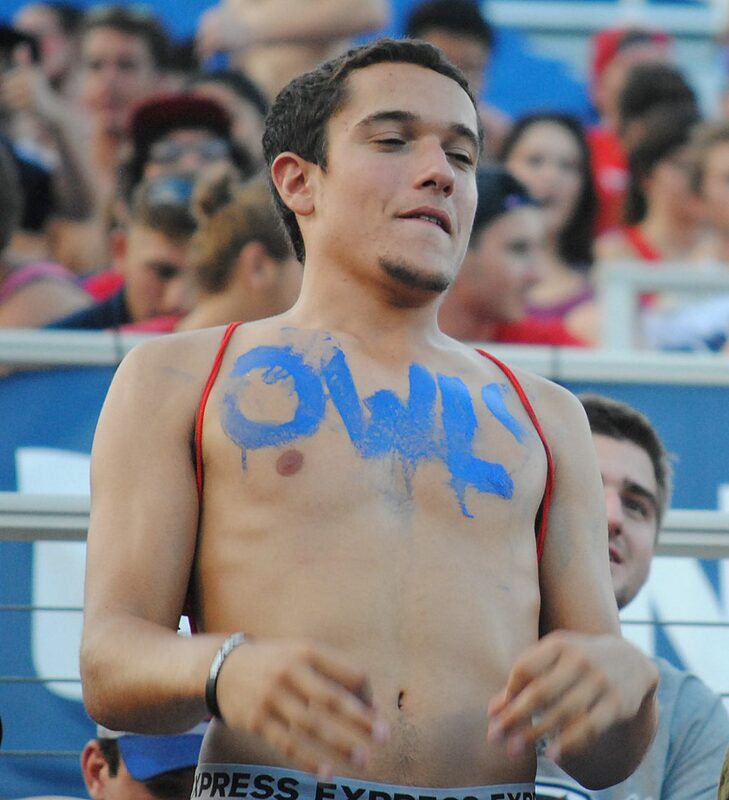 Good news, Owl fans: FAU gets the stop. 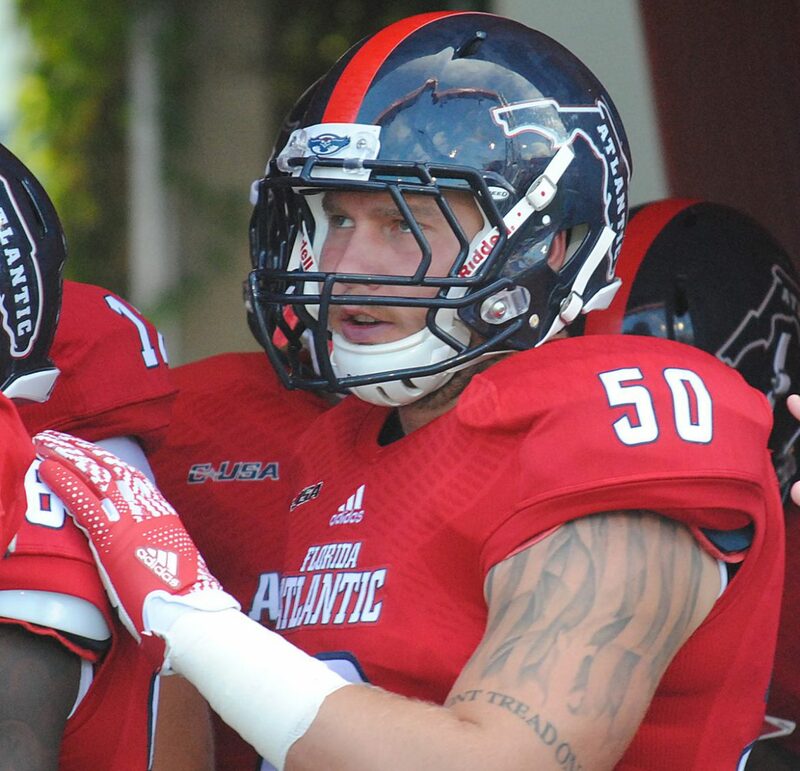 Better news, Owl fans: FAU has 47 seconds to try scoring and will get ball to start second half. What just happened can’t even be put into a tweet. A ball just got deflected about three times into Harrison’s hands for an 85 yard score. FAU could be on the top 10 twice. SIU takes a 24-21 lead after a 69 yard rush that featured a video-game like ankle breaker. FAU does not kneel. They run it with Buddy Howell to end the half. 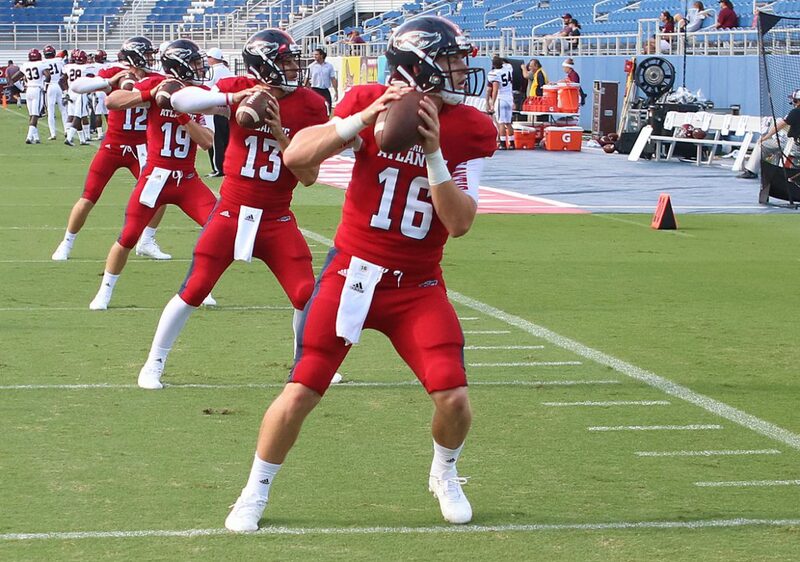 FAU will start the second half with the ball. We are back. 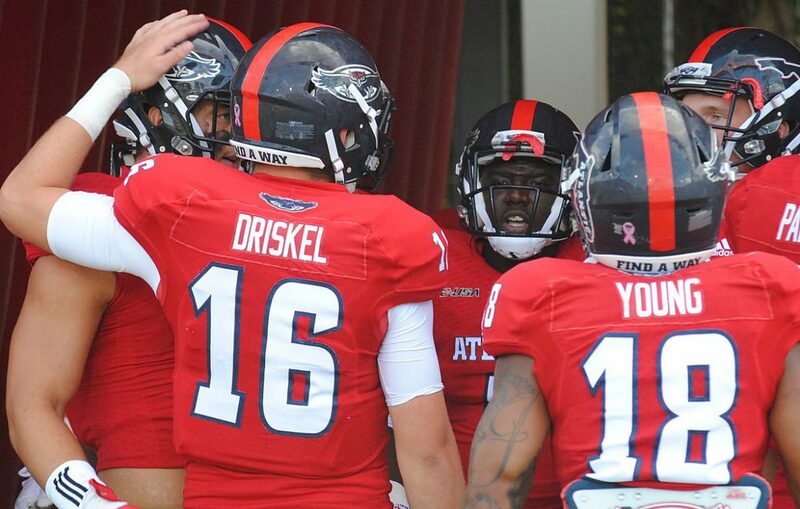 FAU has the ball to start the second half and Driskel already has them to their own 38. We need what Jason Driskel had to eat at halftime. 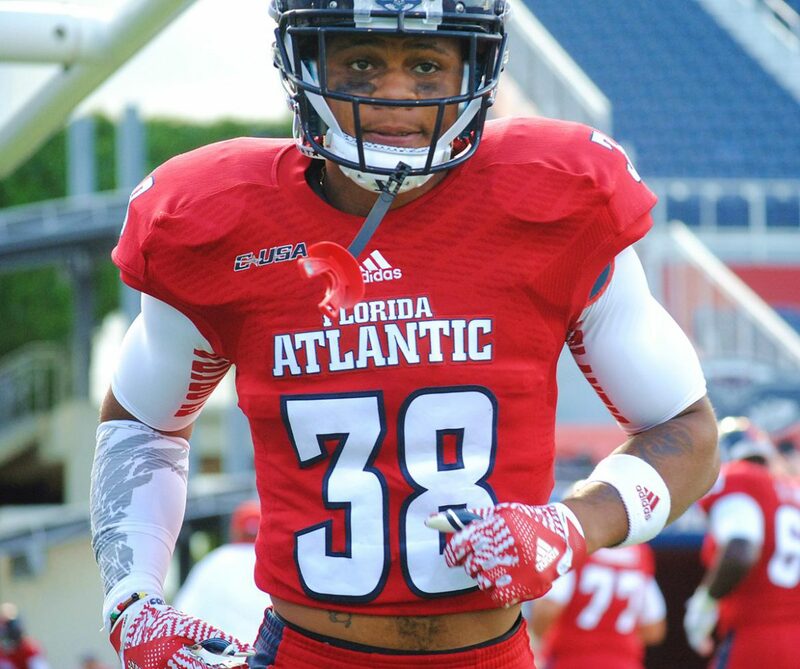 Kid is just making plays over and over for FAU. Driskel does his Tebow impression again with a three yard touchdown rush! The stadium erupts. FAU now with nearly 300 yards of offense. Our score with 11:20 left in the third quarter is FAU 28 SIU 24. Owls defense will try to make sure there’s no more trading of touchdowns. Boom. Three and out for SIU. 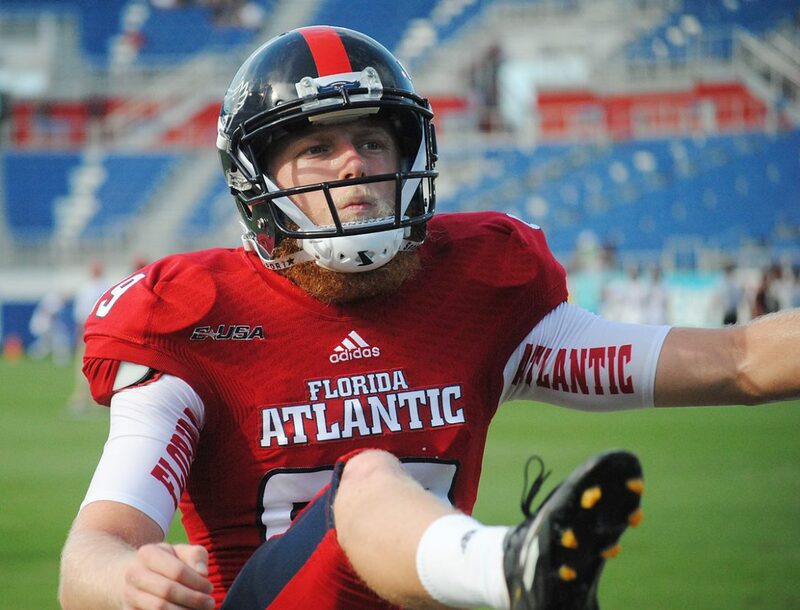 FAU not only has some momentum, but they’re making statements early in the second half. We mentioned in camp that Tyler Cameron could be a safety blanket for whoever won QB battle. Driskel finds FAU TE on a third and 3. Jakobi Smith is in at right guard. 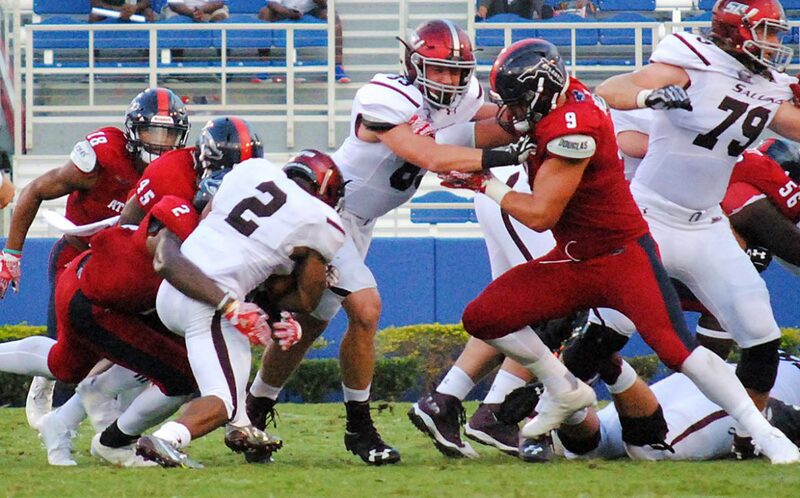 Making some nice blocks on the o line and FAU is within SIU’s 20 yard line now. Tyler Cameron with a touchdown that is confirmed by replay! 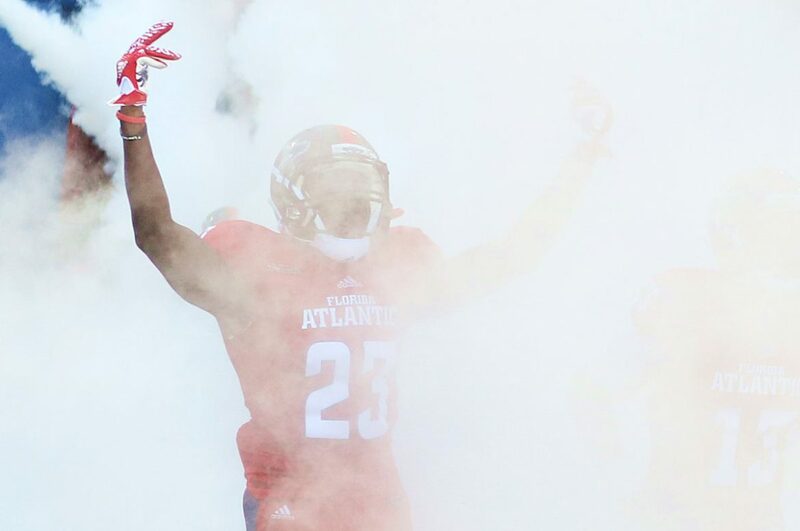 FAU now with some serious momentum as they take a 35-24 lead with 5:35 left. That is a statement drive for FAU’s defense. Trey Hendrickson makes a stop and the Owls don’t let SIU get past midfield. Roc is pleased. THE KICK IS BLOCKED! Trey Hendrickson showing why there’s so much NFL draft stock with this kid. FAU takes over at their own 36. DRISKEL’S GOT WOODS! A 37 yard connection and FAU is at Southern Illinois’ 27 yard line. Greg Joseph with a 40 yard kick and it’s now 38-24 here in Boca. 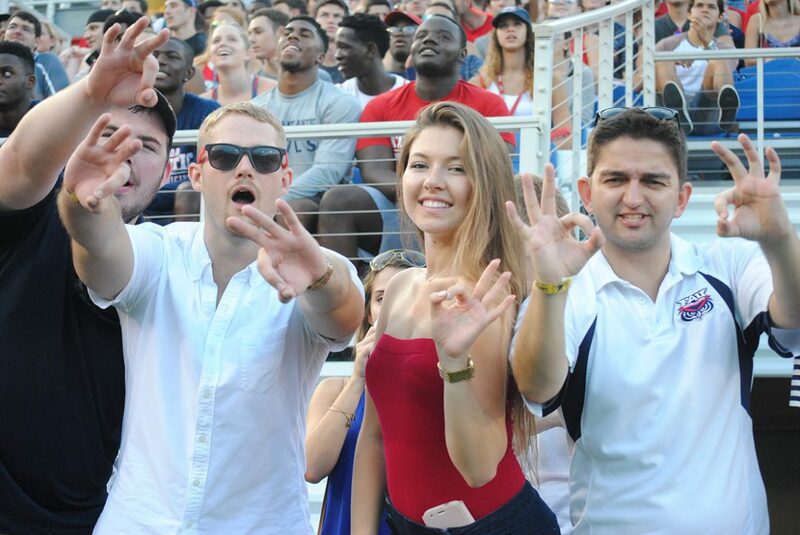 FAU has 17 unanswered points with 10:23 left. Crowd continues to go crazy. Haden Nagel with a sack. 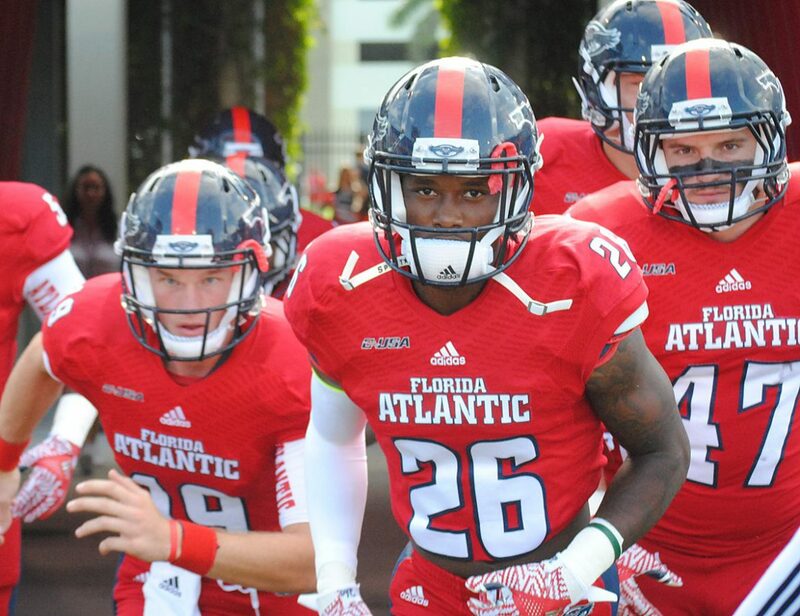 FAU’s defense has been huge in the second half and this is a major confidence builder going into Miami next week. That is a big time throw from Josh Straughan that falls incomplete for SIU. FAU takes over at their own 44. 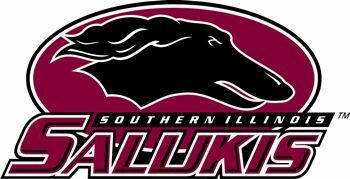 SIU wants to remind everyone that this game is not over. A score with 2:41 left makes it a 38-30 score after PAT is missed. Folks, it’s over. FAU wins their season opener for the first time in the @CoachPartridge era! 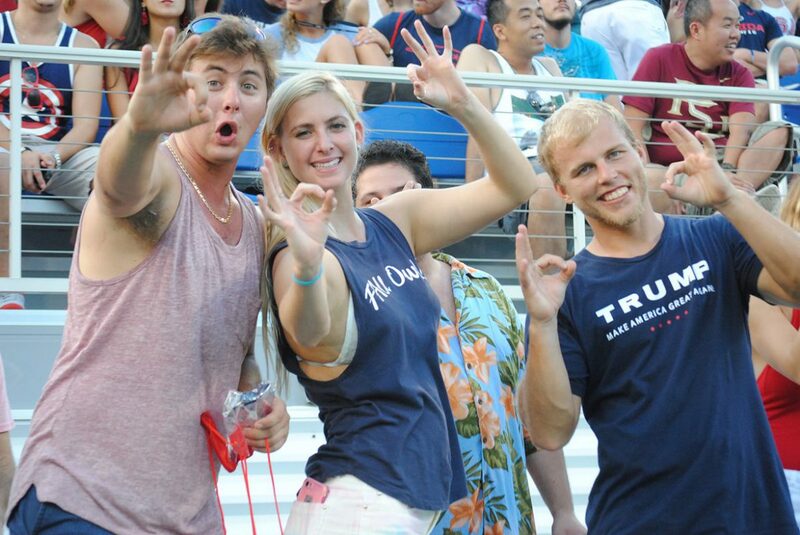 FAU 38 SIU 30! BOCA RATON – For many Owls, though, the 6 p.m. season-opening kickoff against Southern Illinois won’t mark a new beginning. Rather, it will be the continuation of a movement that started in November. 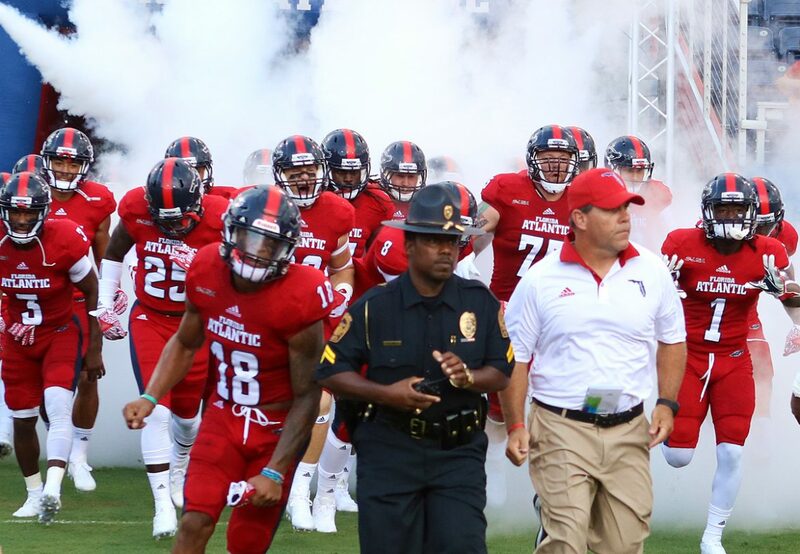 One week after taking SEC Title Game-bound Florida to overtime, FAU traveled to Norfolk, Va., needing a victory to match 2014’s total of three wins. The Monarchs coveted a victory that would make them bowl eligible for the first time in program history. 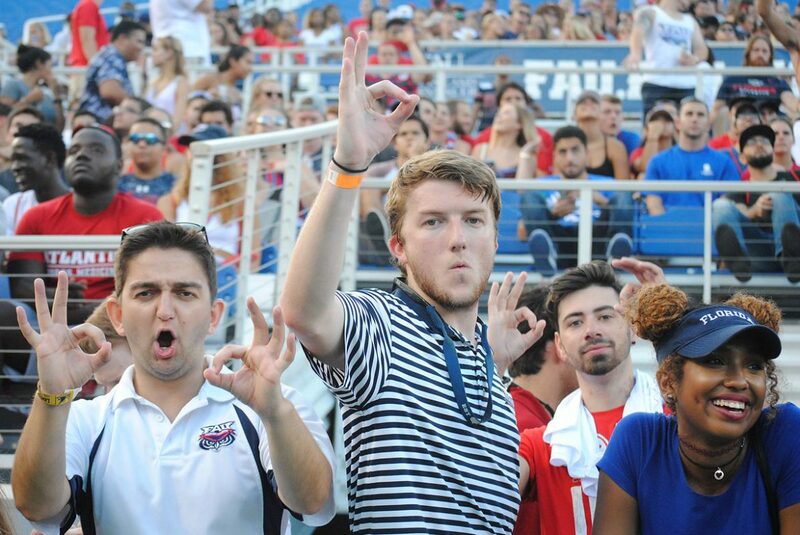 FAU raced to a 24-3 first half lead only to see the Monarchs fire back in the second half, taking a fourth-quarter lead. Blowing late leads had become almost customary for FAU in recent years, but this time the Owls fought back. 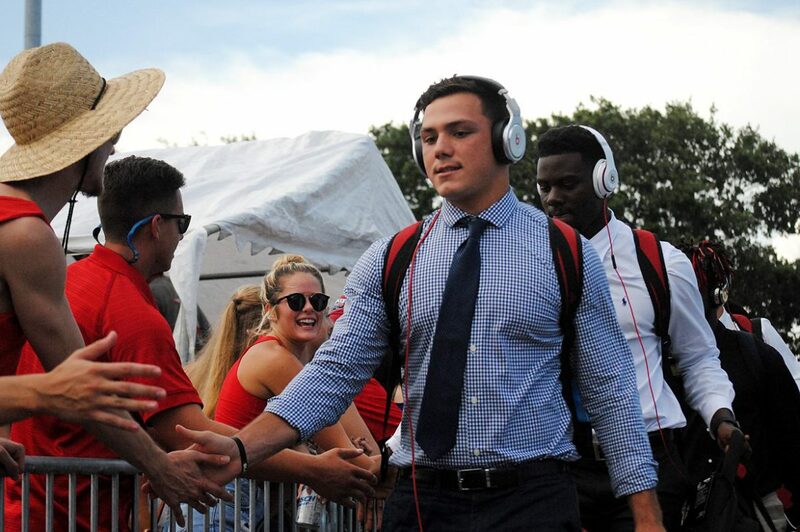 Coach Charlie Partridge replaced quarterback Quez Johnson with Jason Driskel, who led the Owls on two field goal drives, the second of which provided the margin in a 33-31 FAU victory. It may not have felt like a major accomplishment to the casual observer, but the win propelled the Owls into the offseason with more confidence than might be expected of a 3-9 team. What amounted to Thanksgiving leftovers continued to feed the Owls into the summer. Late failures have plagued the Owls since Charlie Partridge became the head coach prior to the 2014 season. The Owls pretty much gave away a sure victory to Wyoming early in 2014, setting the tone for two years worth of games that make followers of FAU football cringe. Tulsa scored with 3 seconds remaining in regulation to send last year’s opener into overtime, where the Golden Hurricane ultimately finished off the Owls. Against Rice four games later, FAU surrendered two touchdowns in the final 8 minutes to turn a 26-13 lead into a 27-26 loss. The victory over Old Dominion bucked that trend. 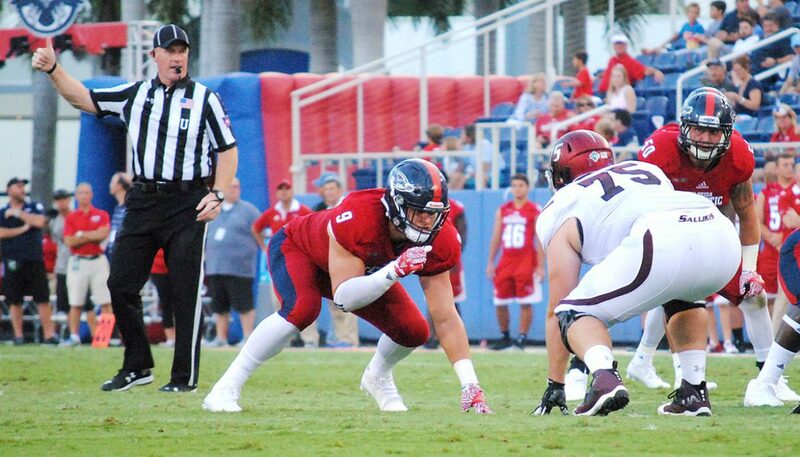 To build on the success FAU experienced late in that ODU victory, FAU devoted much of the offseason to developing a mental approach that will help them perform better late in games. Teammates share DeBoer’s excitement. 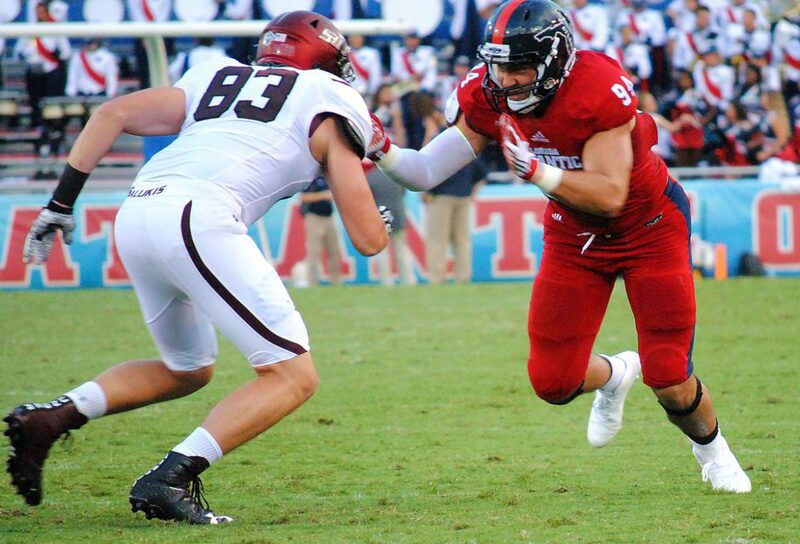 Coaches, while also ready to get back on the field, caution against overconfidence, especially against a team like the Salukis, who, despite playing on the FCS level, still pose some concerns. If last year is any indication, Southern Illinois can move the football. 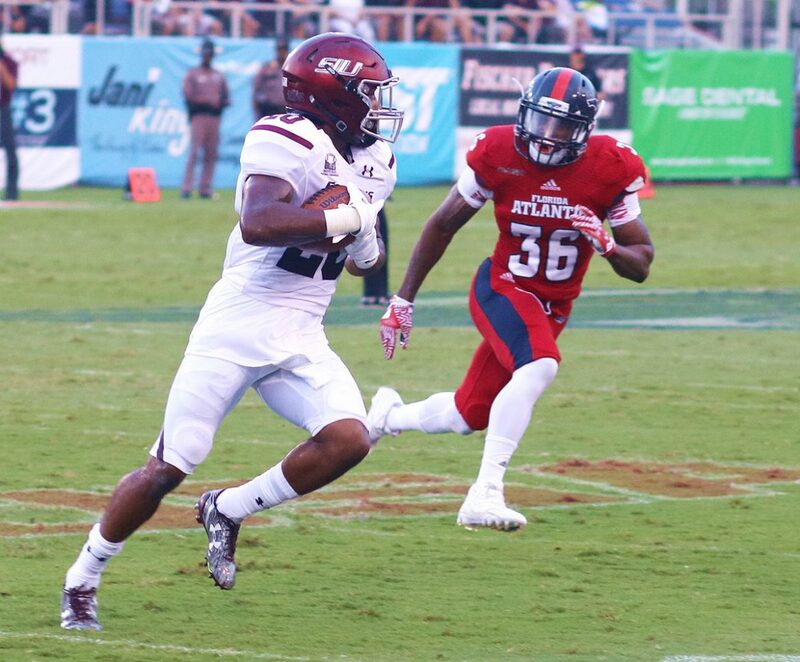 The Salukis’ averaged 498.1 yards per game last season, fifth best in the FCS subdivision. 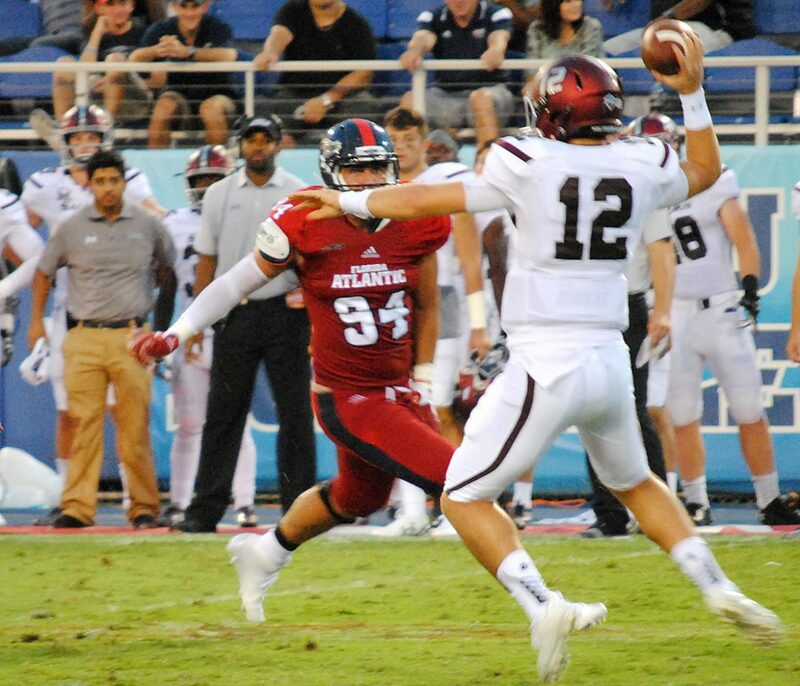 Like the Owls, the Salukis also used fall camp to settle a quarterback battle – choosing Josh Straughan, a transfer from Division II Stillman College. Driskel said playing last year proved advantageous in his quarterback battle with Daniel Parr – allowing him to adjust to the speed of the game at the Division I level. That’s an experience Straughan will receive for the first time on Saturday. But even tough he did use the experience he gained earlier in the season to lead the Owls to that season-ending victory over the Monarchs last year, Driskel says he’s left that ODU victory behind. Where: Howard Schnellenberger Field, Boca Raton. Key for the Owls: Control their emotions. 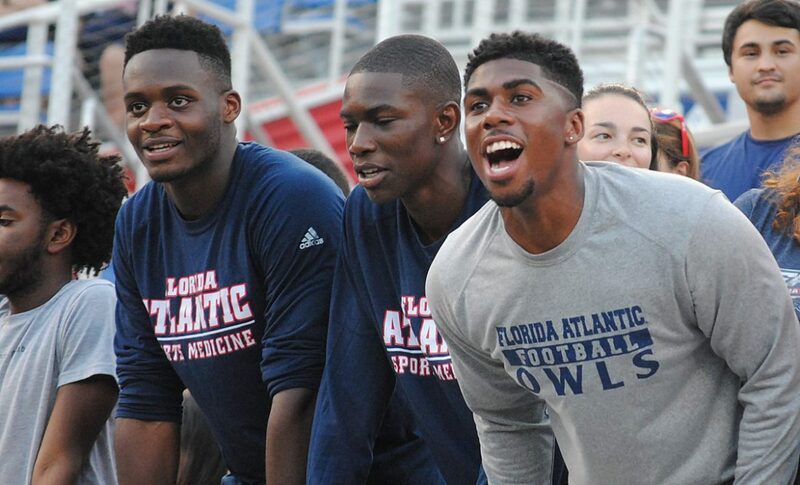 FAU players emerged from camp with a readily-apparent confidence. They have the athleticism to play with anyone on their schedule and the attitude that they have something to prove. Opening at home for the first time in all but a handful of player’s careers, the Owls will be energized, which often leads to the kinds of enthusiastic mistakes that allow inferior teams to stay in the game. If the Owls properly channel their emotions, they could put the game out of reach early. 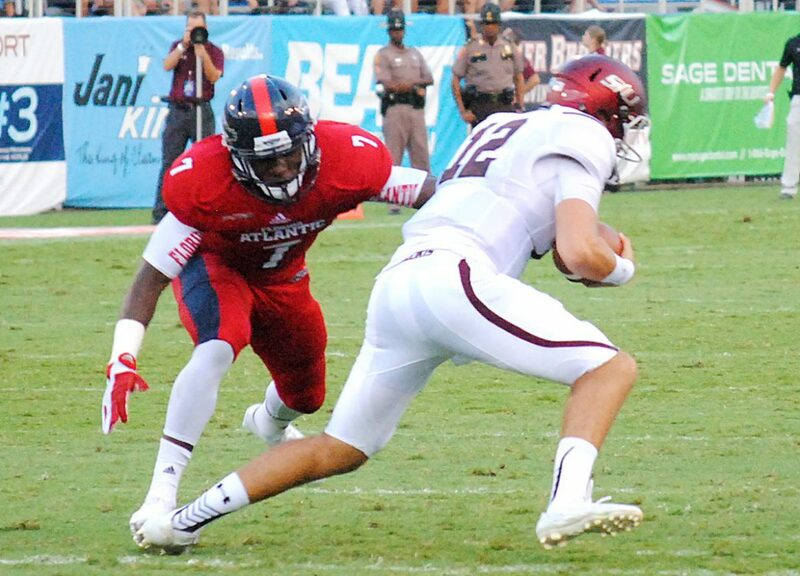 Key for the Salukis: Withstand FAU’s initial onslaught. The Owls will want to mash the gas pedal on new offensive coordinator Travis Trickett’s new offense early. If Southern Illinois can get a couple of quick stops, their offense has the fire power to put up points, which might shift the Owls back into here-we-go-again mode. 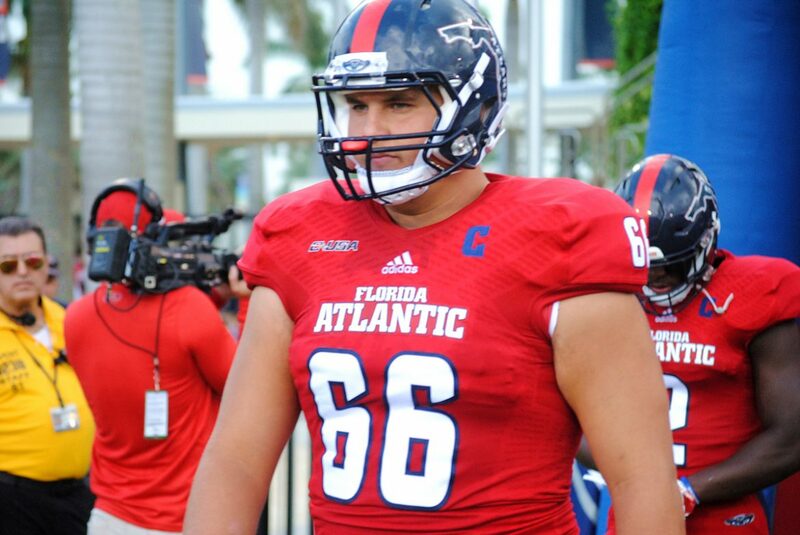 Key Match-up: FAU’s offensive line vs. Southern Illinois defensive line. If Antonyo Woods doesn’t play, right tackle Kelly Parfitt will be the only starter along the offensive line who is playing in the same spot as he did when camp ended. The Salukis will try to test the line’s cohesion. Fortunately for FAU, Trickett’s offense features an abundance of quick passes and runs that figure to relieve the pressure on the line. Well Connected: Saturday’s game will be a reunion of sorts for several involved. 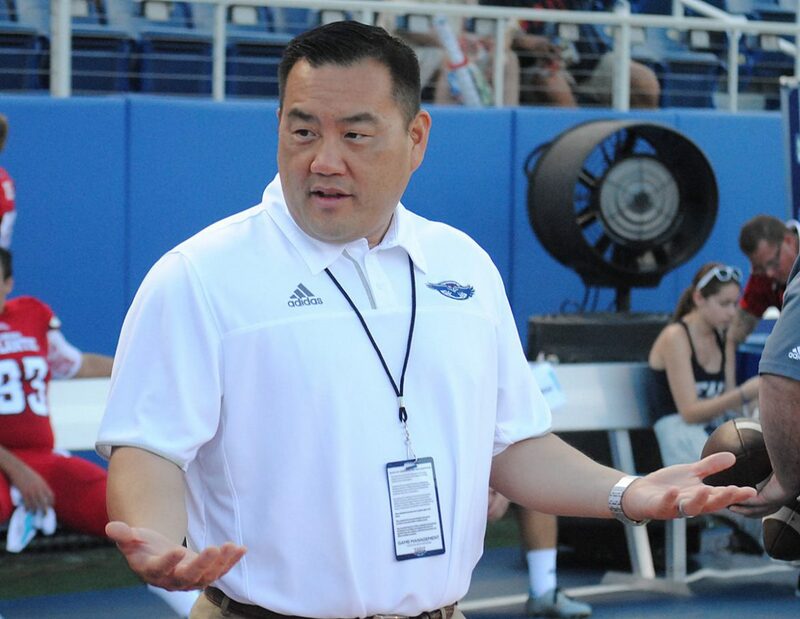 FAU defensive coordinator Roc Bellantoni was the acting head coach for Eastern Illinois in 2007 when they lost 30-11 in the FCS playoffs to a Southern Illinois team quarterbacked by current Salukis coach Nick Hill. 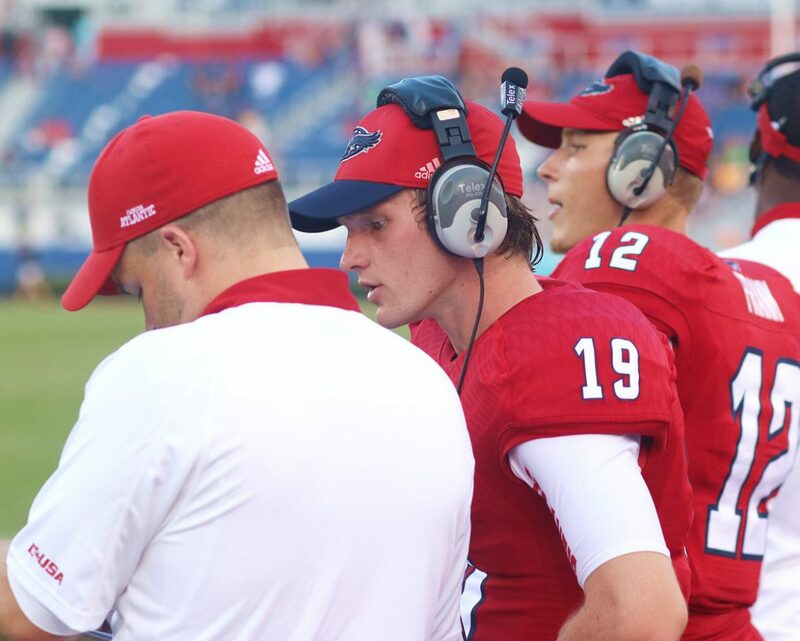 While in high school, FAU QB Jason Driskel received quarterback coaching sessions from Hill, who was a friend of a teacher at Oveida-Hagerty. Motorized: Listening to Trickett discuss Saturday’s game, it seems all but certain that true freshman running back Devin “Motor” Singletary will touch the ball on offense. 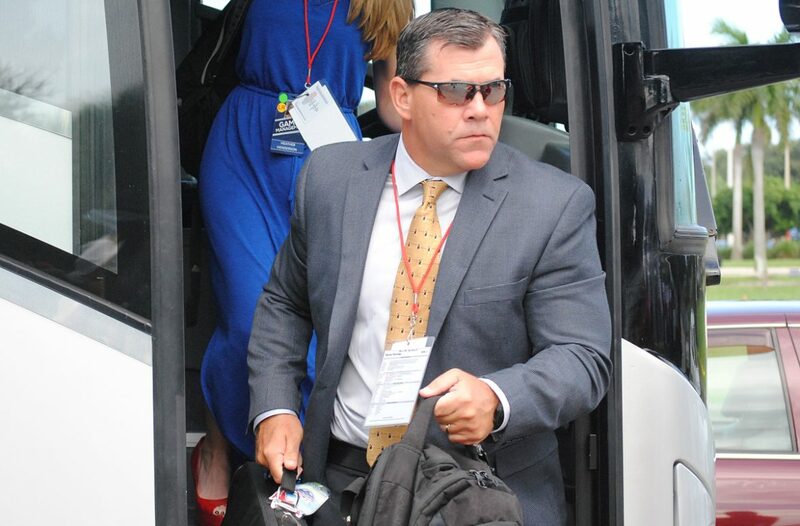 Special teams coordinator Chris Hurd also said, without naming names, that youngsters will get a chance on his unit. Does that mean Motor will be revving up kick returns? That could prove exciting. BOCA RATON – Over the past few days the same vision keeps popping into Pico Harrison’s head. “For some reason, I’m catching like a screen [pass] or something, my teammates are making great blocks downfield and I’m just running.” Harrison said. 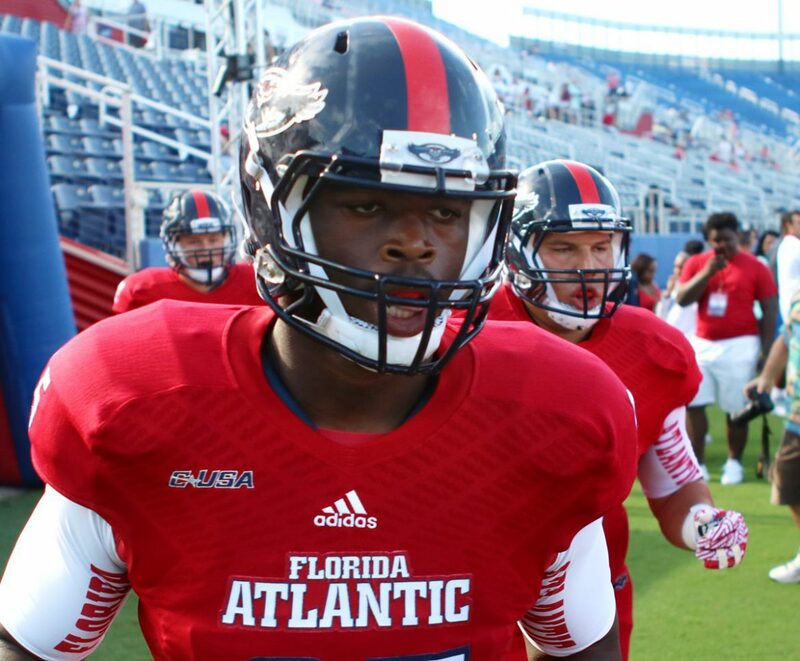 He hasn’t received much attention this camp, but come Sunday it could well be Harrison who brings explosiveness back to an FAU’s offense that frequently seemed stagnant over the past few seasons. He’s not yet a starting wide receiver, but beginning in the spring and continuing through fall camp, Harrison made the most of his targets – showing a knack for big plays. 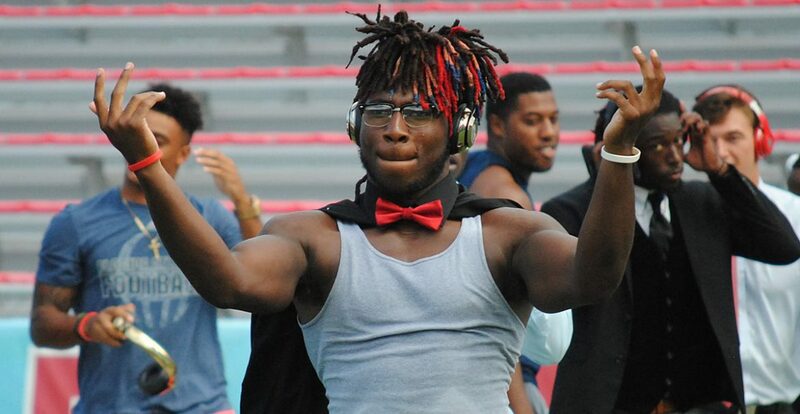 A 6-foot-3, 190-pound redshirt freshman out of North Miami High School, Harrison saw his true freshman season prematurely truncated by a hip injury in fall camp that led to season-ending surgery. Pico 2.0 returned to the field stronger than ever. “I actually think I have gotten faster from my surgery,” Harrison said. 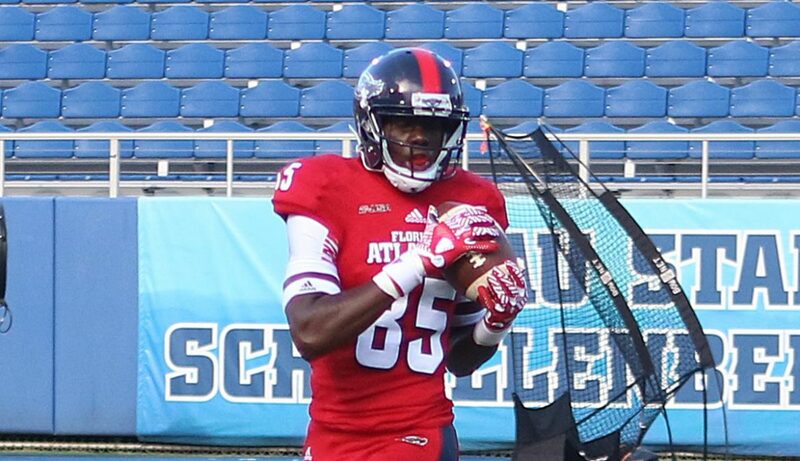 Harrison’s vision concludes in the end zone, putting points on the scoreboard for FAU. Among his goals for the season, which include a trip to a bowl game and an all-conference selection, is the hope of scoring enough touchdowns to match the number on his jersey – 7. 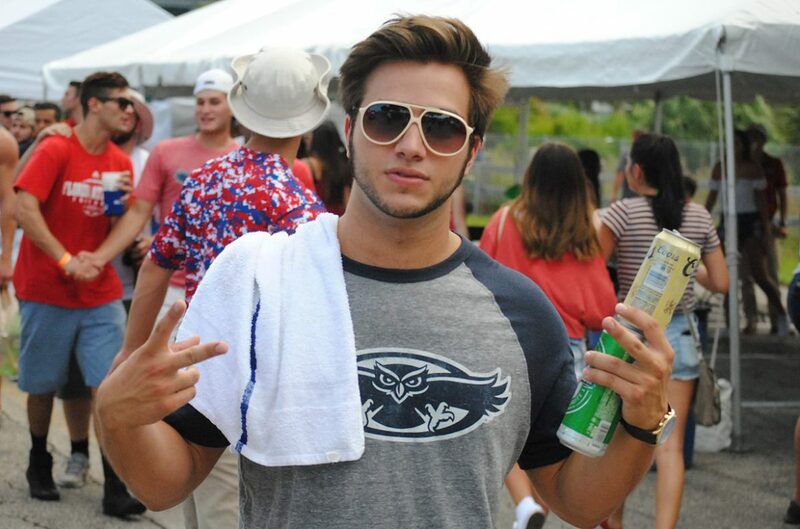 He could well prove to be the explosive wide receiver the Owls have been searching for. 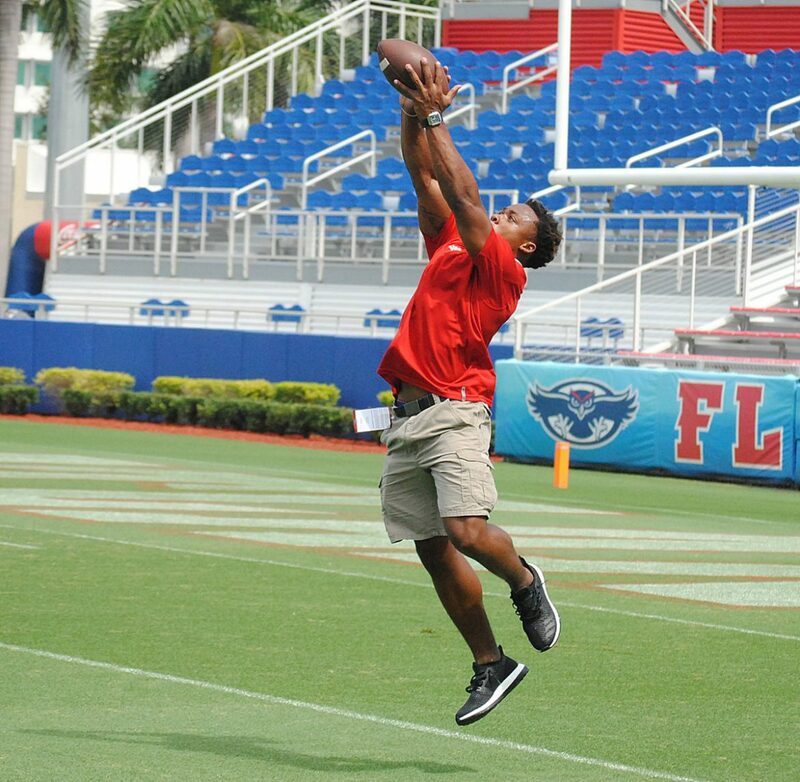 If that moniker goes to a different FAU receiver, however, Harrison wouldn’t be surprised. 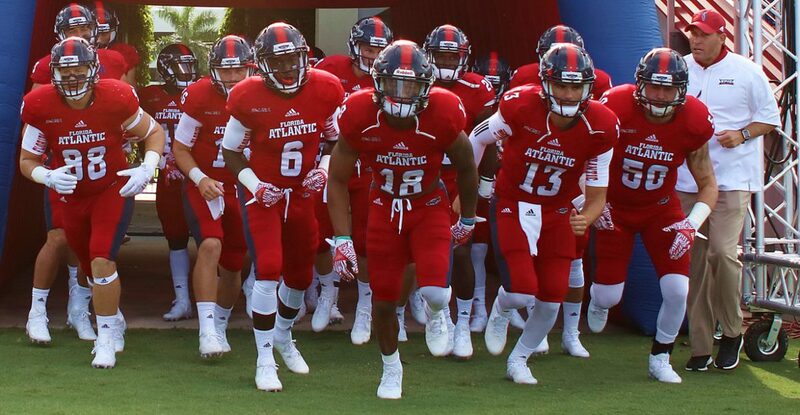 On this week’s edition of OwlTalk host Brian Rowitz of ESPN West Palm and our Chuck King discuss the Owls decision to start Jason Driskel at QB, examine the upcoming season, and look ahead to Saturday’s FAU season opener against Southern Illinois. 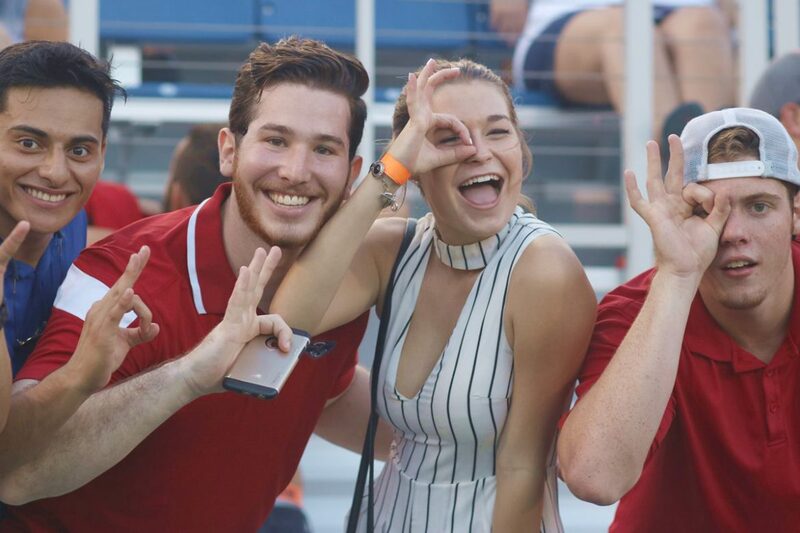 OwlTalk with Brian Rowitz is the premier podcast covering FAU football and Florida Atlantic athletics. ESPN’s West Palm’s Brian Rowitz and our Chuck King combine for more than two decades worth of experience covering the Owls. Together they bring a depth of insight and analysis that can’t be found anywhere else. Enjoy the weekly OwlTalk podcast. 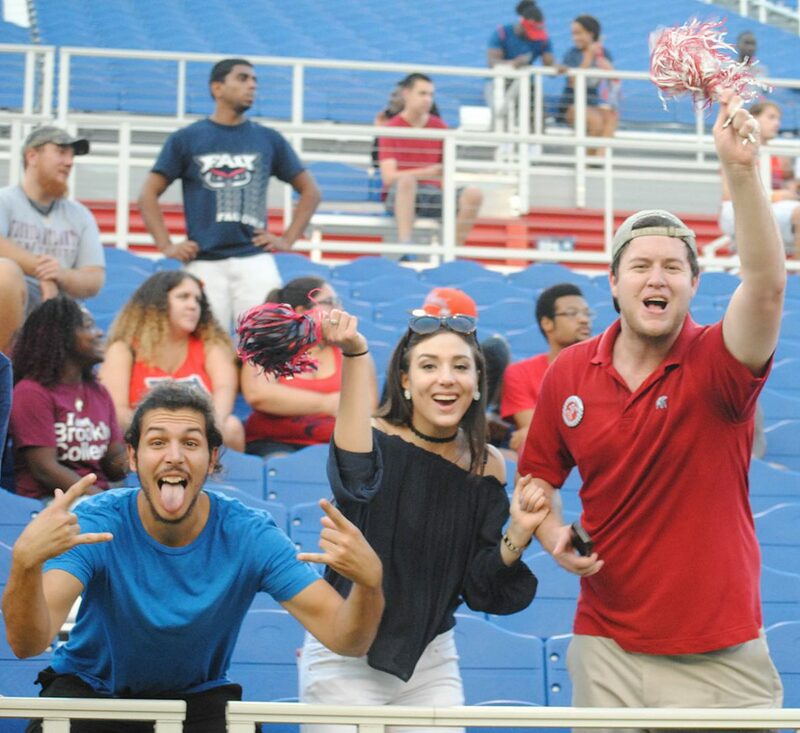 If you have a question for Rowitz or King, send it our way via Twitter @fauowlaccess or post it on our newly-redesigned FAU message boards.